Click the event name for information on staging time and location, uniform of the day, maps, etc. Events that have already passed or for which we do not yet have staging info are not listed here. See the Performances page. Click event names to jump to info for that event. If you need MUSIC for an event, email the TBGO Librarian (currently Dan Dees) as soon as possible so that he can have parts ready for you. You can reach him as librarian@thebeatgoesonmb.org. If you want to print part of the information on this page but not the whole page, try selecting the stuff you want to print, then choose Print, then check "Selection" in the area that says Print Range or Page Range. Events that have already passed or for which we do not yet have staging info are not listed here. For the complete list of the year's events, see the Performances page. As announced last October, our current Long-Term Travel Plan shows that TBGO plans to attend Yakima Sunfair on September 21, 2019. This would be a bus trip with a one-night overnight stay. 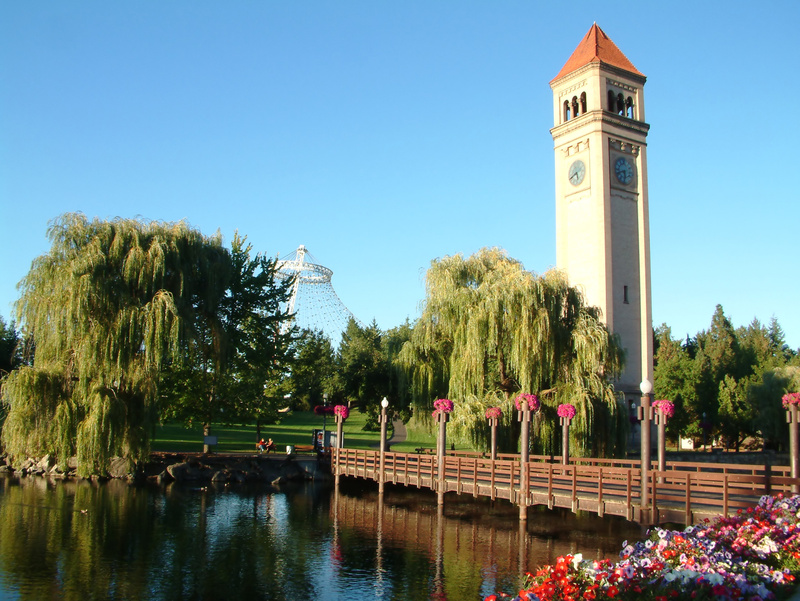 The Yakima trip is an example of a "regional mini-trip" that band associates have told us they enjoy. These mini-trips give us a chance to take the band to new events and allow more of our membership to enjoy traveling with the band. At this point, we think it's wise to take a quick survey to get your thoughts about whether we should continue to plan for this trip. We've seen smaller-than-expected signups for both Spokane and Alaska (although we still have reasonable bands for both); our understanding is that folks may be saving up for the November 2020 trip to Australia. With that in mind, we'd like to survey your interest in the proposed Yakima Sunfair trip to determine whether we would be likely to field a reasonable band at the event. Estimated price per person (double occupancy) for the 1-night trip is $265-$300. We would depart on Friday September 20, do the parade on Saturday September 21, and return home that same day. Survey is short and sweet: What's the likelihood you'll participate, and if you plan to participate would you likely drive or take the motor coach. Please use a separate survey for each person so we get an accurate idea of likely attendance. 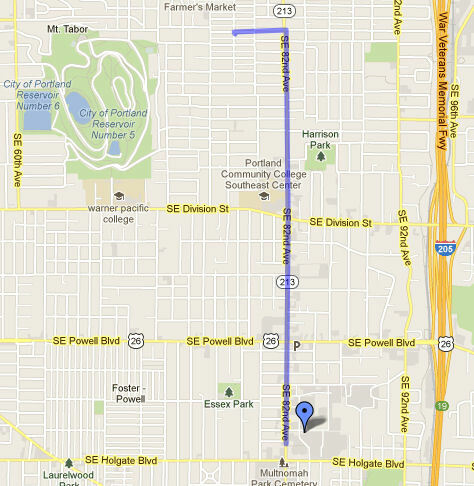 Meet: At 5:45 AM at Eastport Plaza (4000 SE 82nd Ave; map and directions) ready to perform. Note that our first TV live shoot begins at 6:15, so we need to hit the ground running!!! 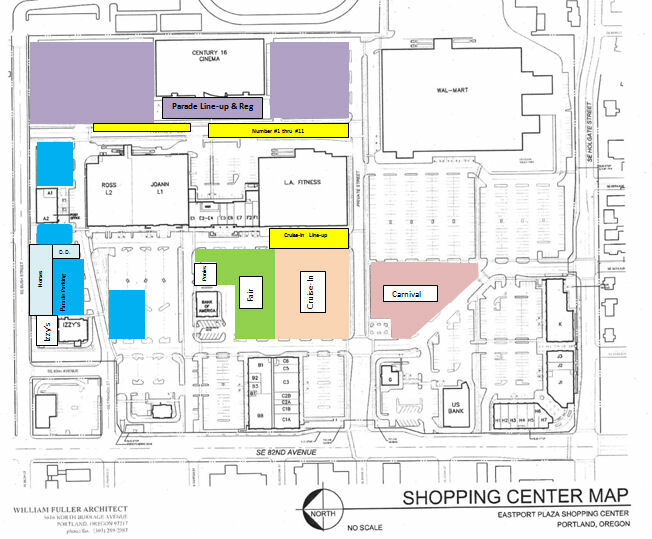 Each reporter will set up in different areas of the north side of the front parking areas at Eastport Plaza, near Ross Dress for Less and Izzys (marked in red on map). This has been cleared with Eastport management and security has been notified. The only businesses open at that time of morning are LA Fitness and Starbucks. Since the Avengers movie opens that day, we have been asked to steer clear of the area around the theater, behind Eastport, as it is certain that a lot of people will be in that area (marked in black on map). Parking: Should be plenty of parking available all around the plaza. TV Segments: Channel 2 (KATU) and Channel 6 (KOIN) both plan to be on site doing live segments for their morning shows. Live segments begin at 5:15 am and continue every 30 minutes or so through 6:45 am. The first TBGO segment will probably be around 6:15 since folks have decided that having us wake up the whole neighborhood at 5:15 may not be ideal. Things are being coordinated so that the band (and other acts) alternate between the stations and both stations can go live at the same time. Uniform: DRESS uniform: TBGO purple collared polo shirt, black pants/belt, black shoes/socks, TBGO hat. At that time of day, there's a good chance you'll want a black turtleneck or similar beneath the uniform shirt. Wear any jacket that suits you; we will probably shed jackets just before each segment goes live. 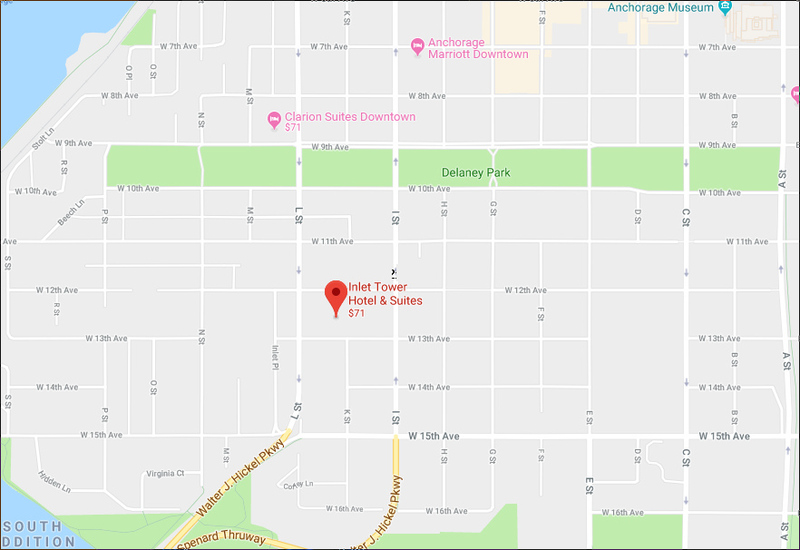 Meet: At 8:30 AM at Eastport Plaza (4000 SE 82nd Ave; map and directions). Our staging area is in front of Century 16 Cinema. (On diagram below right, this is the yellow area that's right next to the purple area.). Units start moving into final position starting at 9 AM, so please be on time. WE don't yet have a unit number. Parking: Parade parking is is at the north (Bush St) end of Eastport Plaza, near Izzy's and the Post Office (see blue areas on map below right). Please observe any VENDOR PARKING ONLY signs - these spaces are not intended for parade participants. Parade: The parade steps off at 9:30 AM. Route heads north on 82nd Ave from Eastport Plaza to Yamhill St, then turns west to disband at 78th Ave. Route is approximately 1.8 miles long and has a couple of lengthy uphill stretches. Following the parade, buses may be available to return us to Eastport Plaza. Note, however, that you may have a long wait for the buses since they can't do their thing until after the whole parade ends. You may prefer to just walk back down the parade route to Eastport Plaza, which lets you watch the rest of the parade in reverse! Uniform: DRESS uniform: TBGO purple collared polo shirt, black pants/belt, black shoes/socks, TBGO hat. If you think you need additional warmth, add a black turtleneck or similar beneath the uniform shirt. We'll wait until we get closer to the parade date to make a decision on adding jackets. Standstill: No standstill this year since there's no event following the parade. 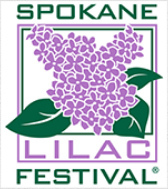 The Spokane Lilac Festival has been a "Lilac City" tradition since 1938. Originated by the Associated Garden Clubs and the Spokane Floral Society to boast of their beautiful spring lilacs and showcase Spokane area youth, the Festival has become the Inland Northwest region's oldest and largest community event, providing involvement opportunities for every segment of the community, highlighted by theTorchlight Military Parade. 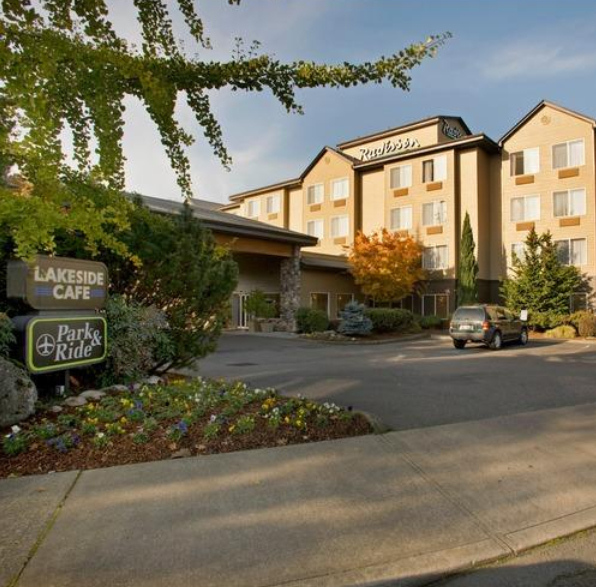 We depart Portland by motorcoach early on the morning of Friday May 17, 2019 with pickup points in Beaverton and Gresham areas, arriving in The Dalles around 9:00 am for our rest stop at McDonald's (you deserve a break!). Departing The Dalles we head for our lunch stop at Columbia Center Mall in Kennewick, WA. 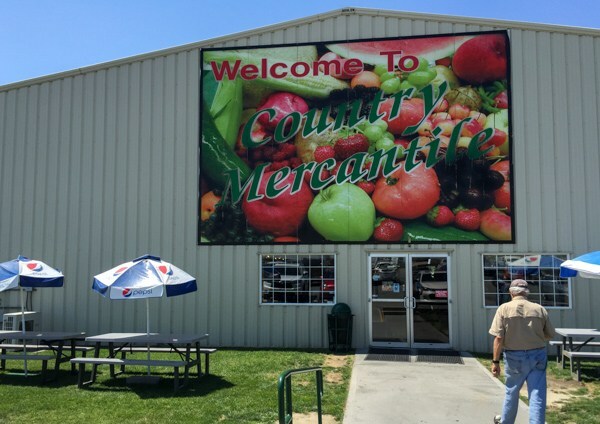 Continue onward after lunch until just beyond Pasco, where we'll make a stop to visit Country Mercantile just off the highway for ice cream, chocolates, other dessert items, or even (heavens!) fruit. Probably a good idea to stock up so that you'll have treats available at the hotel that evening! We'll arrive at our hotel in Spokane by 4:00 pm. Plenty of time to relax and refresh at the hotel with a walk along the waterfront, a swim in the pool, spa, sauna or steam room. Then there's time to enjoy a glass of wine, beer or soft drink hosted by our hotel with some nice appetizers before we head out for dinner. Coeur d'Alene - a bit like Lucerne! 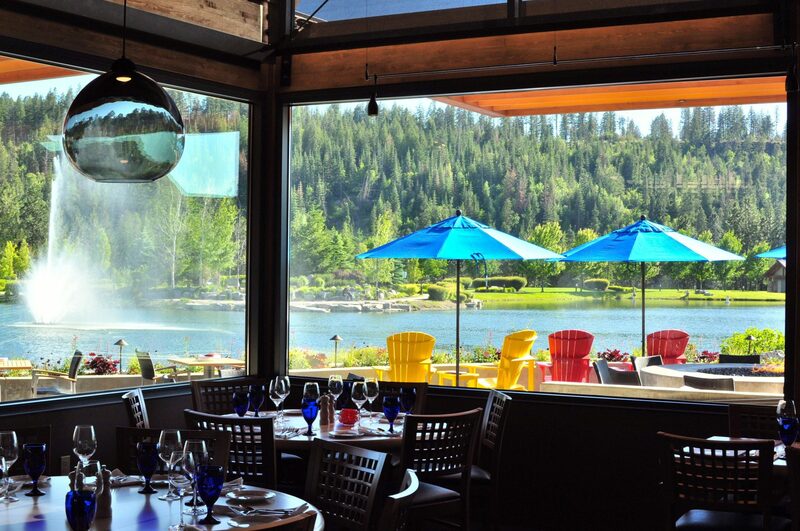 On Saturday morning we'll enjoy a buffet breakfast at the hotel (included in the price of your trip) then head out around 8:30 am for our 35-40 minute drive east to Coeur d'Alene, Idaho ("the Switzerland of North America"). We've got time for a little shopping before we're off on our 90 minute lake cruise aboard the mighty Mish-an-Nock -- included in the price of your trip. Yeah, yeah, we're cruising ... and we're PERFORMING too, right aboard our vessel. 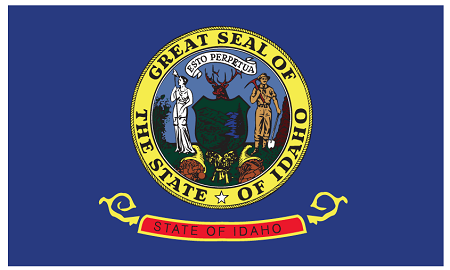 And yes indeed, this will qualify us to carry an Idaho state flag! 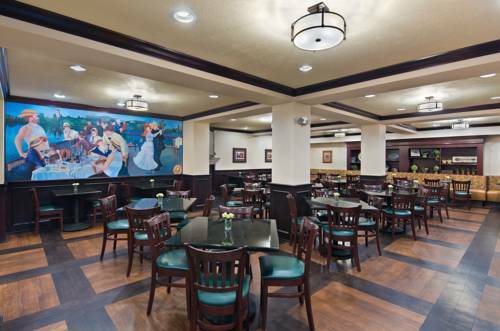 Return to the hotel by 4 pm, with time to relax and an early dinner on your own. 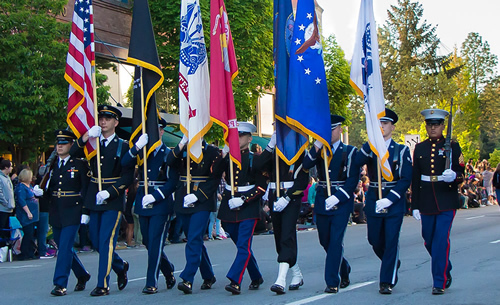 We'll depart for the parade area by motor coach at 6:30 pm for the 7:45 pm step-off of the 81st year of the largest Torchlight Military Parade in the nation through the streets of downtown Spokane. We'll get back to the hotel around 9:30 pm. Who's bringing the TBGO alpenhorn? Time to head for home on Sunday morning after breakfast at our hotel -- included in your trip price. We'll head out at 8:15 am heading for Richland, WA. 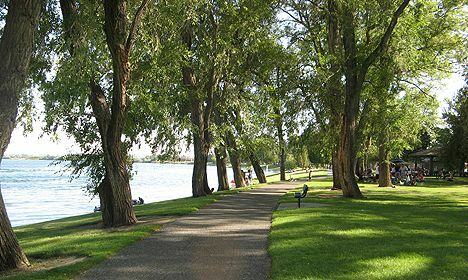 We arrive at 10:45 am at Howard Amon Park for our morning rest stop, with great views of the Mighty Columbia River. Onward to Toppenish (hey, weren't we just there?) 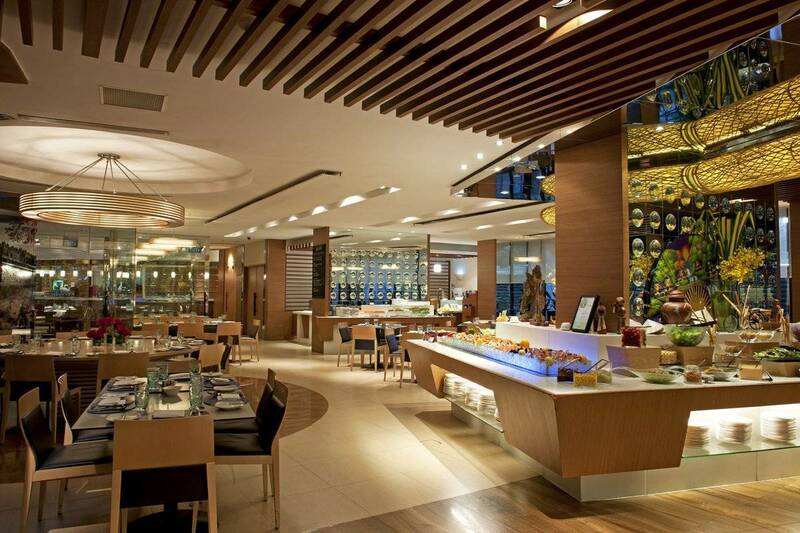 for lunch at Legends Casino with a variety of restaurants and the brunch buffet available to help you keep body and soul together. Then it's smooth sailing home, with a rest stop in The Dalles before we arrive back home at our original departure points in Gresham (5:15 pm) and Beaverton (5:45 pm). Three days, two nights, two performances including a lake cruise, two new cities and one new state, and plenty of great new memories to share. 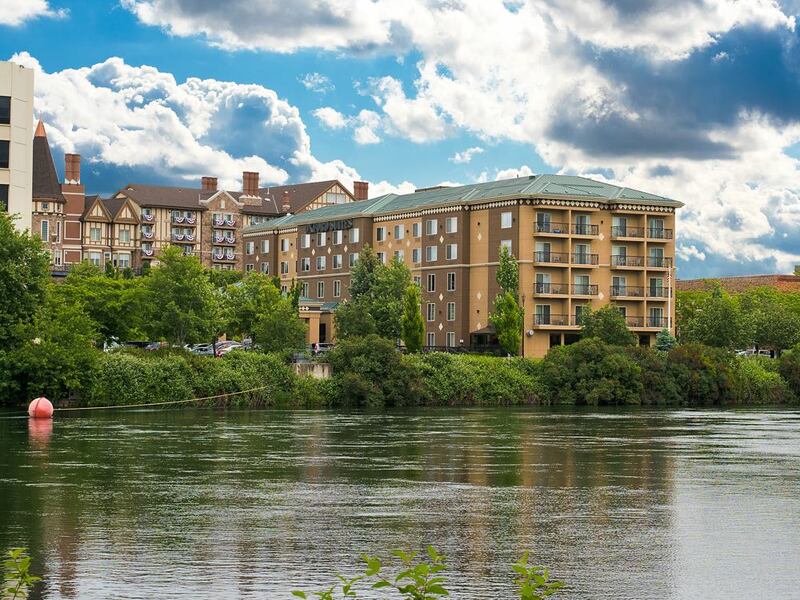 Each room at the Oxford Suites Hotel Downtown Spokane comes complete with premium bedding, bedside USB port and charging station, wired and wireless internet access, refrigerator, microwave and free high-speed internet access. Wake up each morning to a complimentary full hot breakfast, go for a swim in the hotel's indoor swimming pool, or relax and unwind in the hotel spa, sauna, or steam room. 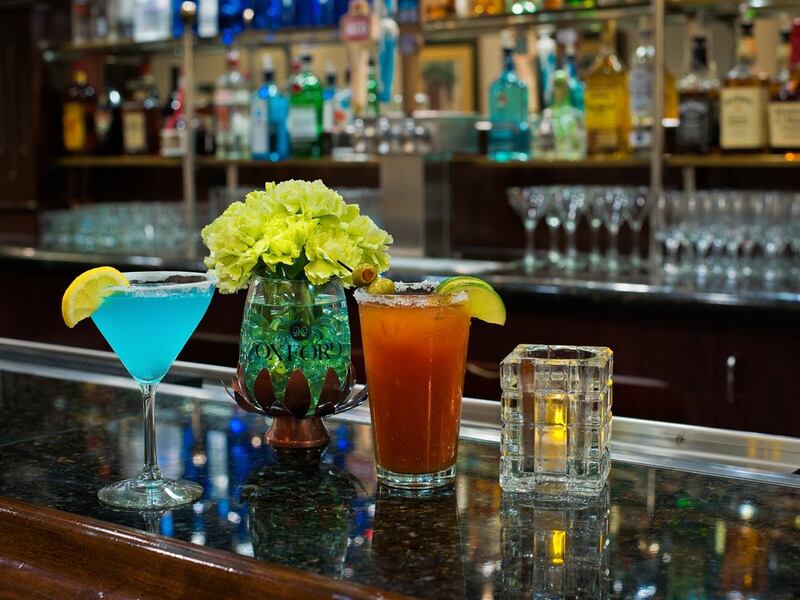 Don't miss the complimentary Evening Reception featuring appetizers and your choice of wine, beer or soft drinks. Uniform: DRESS uniform: TBGO purple collared polo shirt, black pants/belt, black shoes/socks, TBGO hat. Reservations: Cruise reservations for those on the motor coach trip are included in the trip. Cost for self-drivers is $28 per person in advance and you must reserve with Tom ASAP. Departure: Motor coaches depart the hotel at 8:30 am. Everyone should BE IN UNIFORM when leaving Spokane by coach or car on Saturday morning heading to Coeur d'Alene as there won't be time to change into uniform at/near the Boardwalk Marina. Arrival: Motor coaches will arrive at 9:10 am and will drop us off near the BOARD HERE location on the map at right. Those driving should plan to park in the PARK HERE area marked on the map. 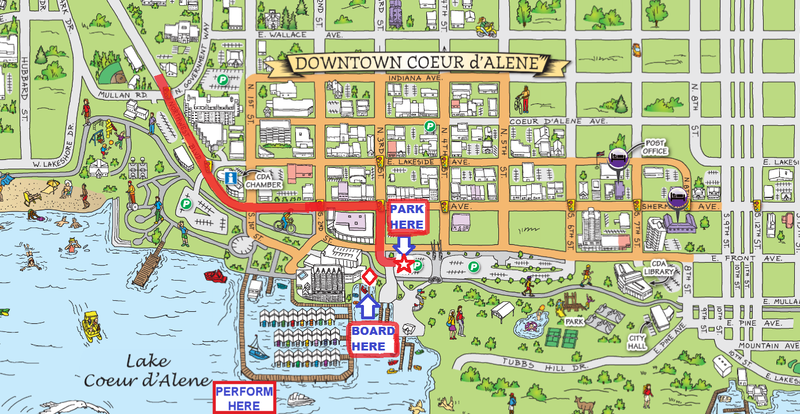 Boarding: Boarding for the cruise is on the East side of the high-rise Coeur d'Alene Resort Hotel, 115 S. 2nd Street, Coeur d'Alene, Idaho as shown on map. We will begin boarding the Mish-An-Nock, an Indian word meaning "Morning Star", at 930 am. 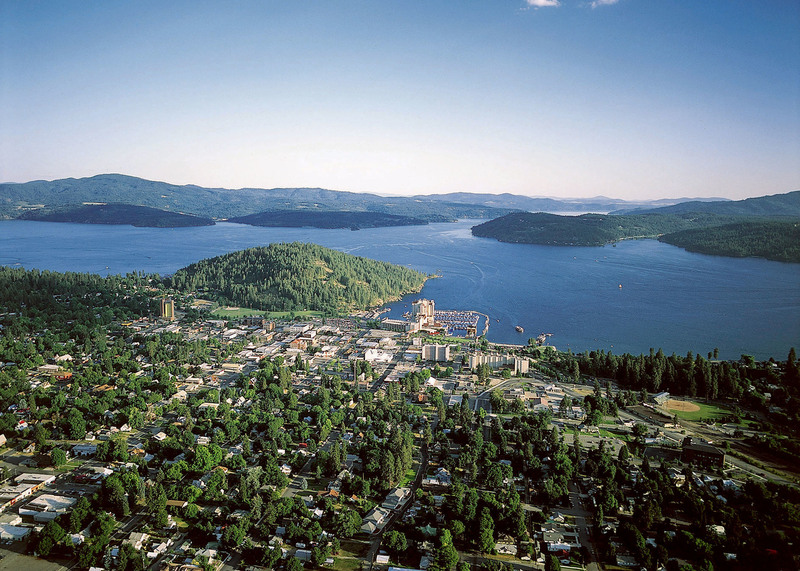 Cruise: Our cruise departs at 10:00 am for a 90-minute cruise on beautiful Lake Coeur d'Alene. While en route we'll play a couple of tunes from the list below. This will be a short performance since we're pretty much playing for ourselves (we have the whole boat to ourselves since it's a charter). Post-Cruise: Tom is working to arrange a 20-25 minute post-cruise concert along "the world's largest floating boardwalk". We'll use the play list below. Meeting Time: For those making their own travel arrangements, we will announce a meeting time and location for the parade when we know details. 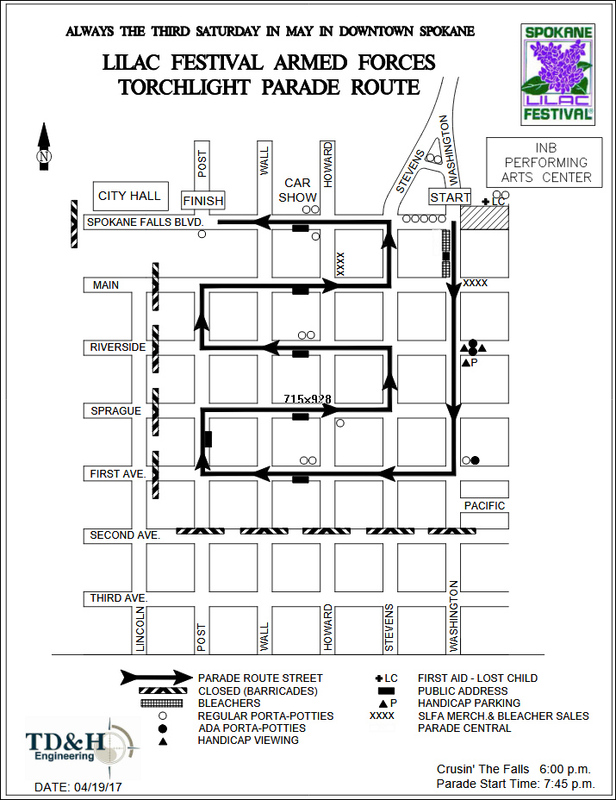 Parade Details: Parade route shown at right (click to enlarge). 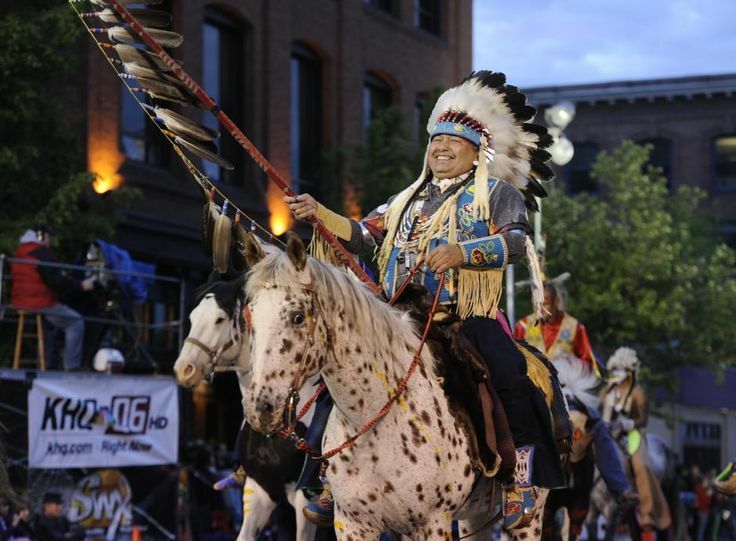 Parade route is approx 1.4 miles long and is just across the river from our hotel (we could almost walk there!). THIS LOCATION TENTATIVE BASED ON AVAILABILITY. If it is not available, we'll find another west side location. 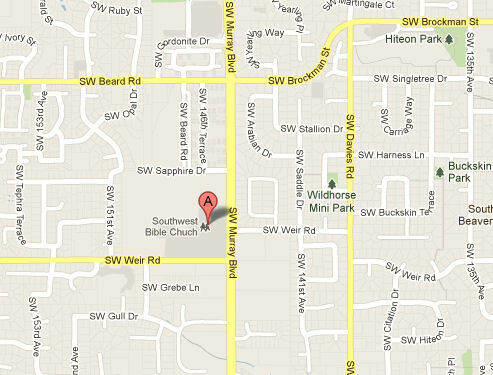 WEST SIDE: The Southwest Bible Church pickup point (right; map and directions) is our west side pickup point with plenty of parking available. Please PARK IN THE FAR SW AREA away from the new church construction project. NO RESTROOM ACCESS due to new security procedures. Arrival and departure times are shown in the Detailed Itinerary below. This motor coach will be Bus #1. It will rendezvous with Bus #2 at the Gresham pickup point (below), then follow our remaining itinerary in conjunction with Bus #2. IMPORTANT: Bus #1 will return directly to Southwest Bible Church on our return trip; it WILL NOT GO to Olympic Gym. THIS LOCATION TENTATIVE BASED ON AVAILABILITY. If Olympic gym is not available, we'll find another east side location. EAST SIDE: The Olympic Gym pickup point (right; map and directions) is our east side pickup point (thanks Tom McCann!). Please park in the SOUTH end of the parking lot. Gym will be open and restrooms will be available. Arrival and departure times are shown in the Detailed Itinerary below. This motor coach will be Bus #2. It will depart be met here by Bus #1, then follow our remaining itinerary in conjunction with Bus #1. IMPORTANT: Bus #2 will return directly to Olympic Gym on our return trip; it WILL NOT GO to Southwest Bible Church. 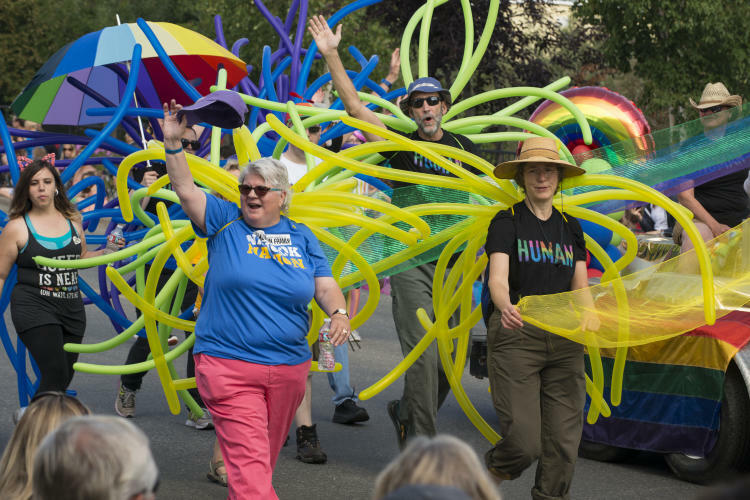 7:45 pm Lilac Festival Parade steps off! The TBGO Board is pleased to announce an Early Booking Discount of $35 for all TBGO band associates who are part of the TBGO performance team, including musicians, auxiliary unit members, banner carriers, flag carriers, hydration (water) team, and other regular support staff. You must sign up for the trip by November 12, 2018 to receive the Early Booking Discount. Early Booking Discount is not available for family members who do not perform with the band. The Early Booking Discount lowers prices as shown in the Trip Pricing section below and will be applied at the time of final payment for your trip. Pricing for the Spokane Lilac Festival "mini-trip" is listed below. We are offering an Early Booking Discount to help spur your decision process <grin>. 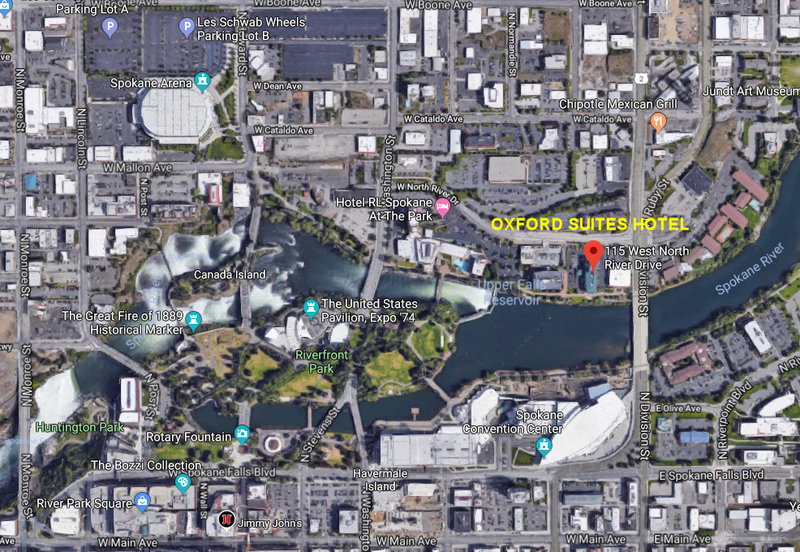 TBGO members making their own travel arrangements are responsible for transportation to/from Spokane, lodging, and transportation to/from the parade staging area. If you are traveling on your own, please use the sign-up link (there will be a "self-drive" option for you in the survey) so we know you're coming. Adults family members are welcome to join the trip (sorry, no children). In accordance with the TBGO Rooming Policy, you MUST submit a VERIFIED rooming list with the names of all roommates if you choose a Triple or Quad room. "Verified" means that you need to make sure that your proposed roommates agree with the list; you don't get to just list random people and hope for the best! Please see the TBGO Rooming Policy for details on the policy, including information about adding your name to, or seeking roommates from, the Available Roommate List. Pricing shown is per-person for various rooming configurations. $200 non-refundable deposit is due at signup, with balance due March 8, 2019. SPOKANE LILAC FESTIVAL TRIP IS NON-REFUNDABLE. 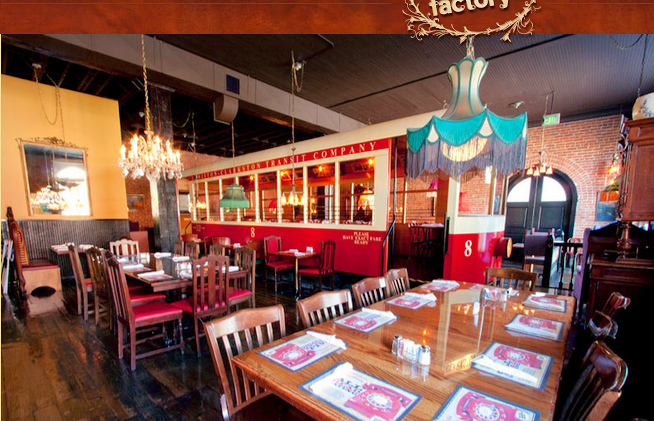 Group dinner at Old Spaghetti Factory in Spokane with (3) dinner choices, bread, salad and dessert, plus choice of soft drinks or tea/coffee. SPOKANE LILAC FESTIVAL TRIP IS NON-REFUNDABLE. You may wish to consider purchasing Travel Insurance to protect yourself in case of accident, illness, or other factors that preclude you from completing the trip; see details below. TO RESERVE YOUR PACKAGE: Payment of $200 per person deposit is required at signup. You may supply credit card information as part of your signup via Survey Monkey, or provide payment or credit card information directly to Travel by Tom Higham. Balance of trip cost is due by March 8, 2019. Signups after December 10, 2018 will be accepted based on availability and pricing cannot be guaranteed. TBGO travel packages (like most travel packages everywhere) are non-refundable. To protect yourself in case of problems that prevent or interrupt your travel, you may wish to consider purchasing travel insurance. TBGO travelers may optionally elect to purchase the Worldwide Trip Protector policy from Travel Insured International when signing up for this trip. Trip cancellations can happen at any age, though the likelihood of health problems increases as we age. Travel insurance also protects you should you need to change travel plans because a family member develops health issues. Your policy protects you against such things as Trip Cancellation, Trip Interruption, Missed Connection, Itinerary Change, Travel Delay, Accident & Sickness Medical Expense, Emergency Medical Evacuation/Repatriation (Air Ambulance), Travel Accident Protection, Baggage & Personal Effects and Delayed Baggage. The premium for travel insurance varies by cost of trip and your age. This chart can give you a rough idea of your insurance premium; Tom can give you actual pricing Find the row of the chart that shows your trip cost, then slide across to the column with your age; the figure in the intersection is your cost to insure this trip. NOTE: Insurance pricing will vary as this is not the most current insurance table. Many people do not understand the value of travel insurance until certain things happen, such as having to cancel their trip due to illness, injury or death type reasons to themselves or other family members that would prevent them from taking a trip they have planned on going. Or, someone may need to cancel in the middle of their trip and come home early for similar reasons. You may believe that your home owner or other insurance may protect your investment if you are forced to cancel your trip, but typically it does not. Please note that the cancellation and trip interruption protection of the plan priced in the travel insurance chart above covers only documented illness, injury, and death. Those who desire expanded coverage (e.g., due to work related reasons, or for any reason whatever) can be insured using another policy type through Travel Insured International at additional cost; please contact Travel by Tom Higham with your needs. To be sure you are fully covered, especially for pre-existing reasons, you must purchase your travel insurance within 21 days of your deposit (best to do it at the same time you are making your trip deposit so that way you know you have it handled). You will be offered an opportunity to purchase travel insurance when filling out the Survey Monkey sign-up for the trip. As this is a relatively low-cost regional trip, we do not plan to make any awards under the Travel Assistance Program for this trip. Click to learn more about the TBGO Travel Assistance Program and the criteria for awards. Use the Survey Monkey link below to sign up for the trip. If you are making your own travel arrangements, please use the same link to let us know that you will be at the event so that we know who to expect at the performance events. If you are reserving a Triple or Quad room, please be sure you have a verified rooming list BEFORE you sign up (see TBGO Rooming Policy). Time for TBGO to hit the beach! 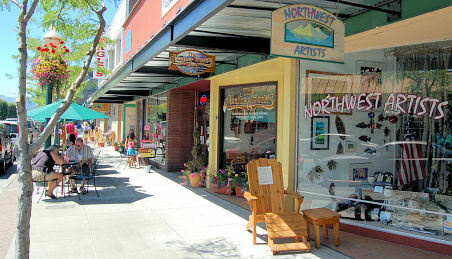 Waldport has been celebrating Beachcomber Days for 63 years, but this will be TBGO's first visit. 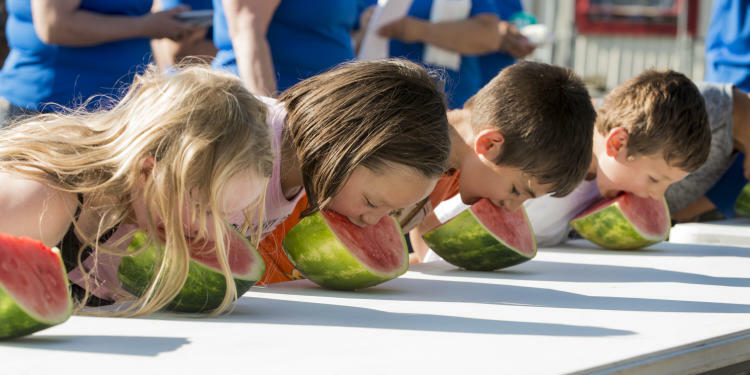 The parade steps off at Noon on Saturday, but there are plenty of other activities including live music, car show, vendors, and an arts market. I'm just sorry we'll miss the slug races on Sunday ...Waldport is located on the Oregon coast about halfway between Newport and Yachats, roughly a 2 hr 40 min drive from Beaverton. Meet: At 11:10 AM in the parade staging area (more info when I have it). My curent best guess is that this is at the large empty area that used to be the local high school, just northeast of Carpet Tech LLC, 225 N Bay St. 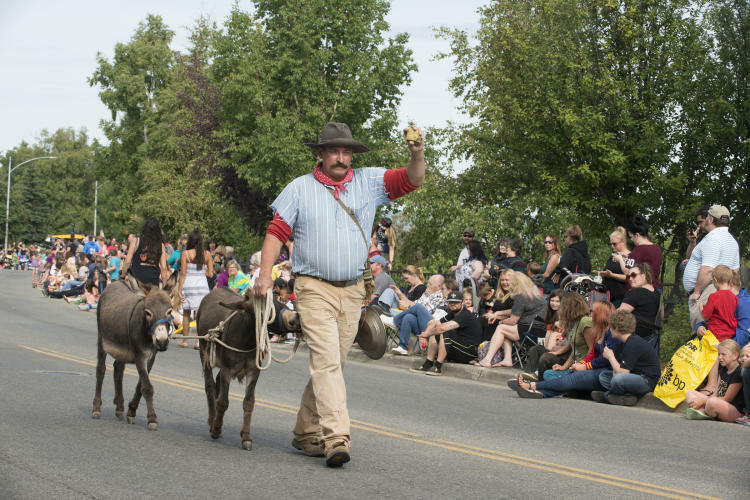 Parade Route: Parade steps off at Noon and proceeds from staging area to Hwy 34 West then South on Hwy 101. I don't have a specific ending location or distance, but note that it's one way (i.e., NOT a loop). Parking: TBD, but I've seen online info from prior years requesting NO PARKING on HWY 34 or 101. Uniform: Probably our informal (summer) uniform, but we'll see -- the coast can be chilly! 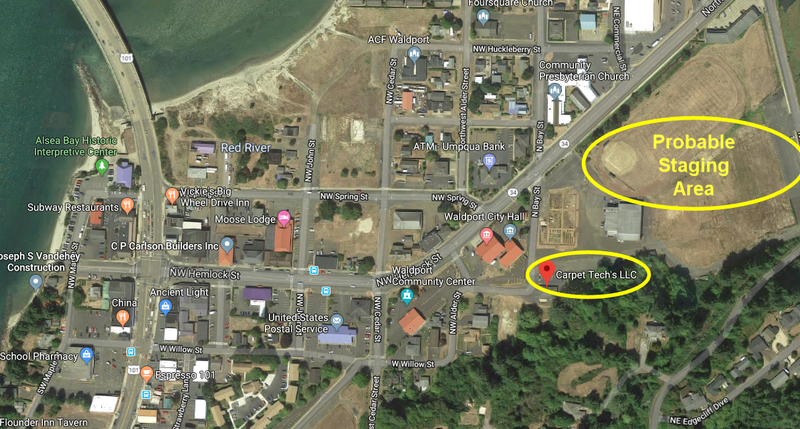 Self Drive: If you are planning to drive to Waldport on your own, please use the Survey Monkey link to check in and let us know you're coming. Motor Coach: TBGO has reserved ONE motor coach for this event. Departure location is Southwest Bible Church (details below). We have 55 seats available, first-come, first-served; reservations are $20 per person including tip for the driver, which reflects a subsidy of about $10 per person from the band fund. Let's fill those seats! As usual, reservations are NON-REFUNDABLE, but you may transfer your seat to another rider if necessary. If we reach capacity we will continue to take signups and will maintain a waiting list so that we can take as many folks as possible. Use the link at right to reserve your seat; pay for your bus ride via check or PayPal / Credit Card; details on the Payments page. SELF-DRIVERS, there's also an option for you in the survey so you can let us know you're planning to attend. Tentative itinerary for the motor coach appears below. Please submit one survey for each rider. to let us know that you'll be attending. MOTOR COACH PICKUP: Southwest Bible Church is our pickup point (right; map and directions) with plenty of parking available. Please PARK IN THE FAR WEST AREA away from the new church construction project. NO RESTROOM ACCESS due to new security procedures. Arrival and departure times are shown in the Detailed Itinerary below. Please be IN UNIFORM at departure. 6:15 am Arrive at Southwest Bible Church (Beaverton). 7:00 am Coach departs Southwest Bible Church. Drive south to I-5 to Woodburn. 7:35 am Arrive at Woodburn McDonalds (Exit 271). Time to grab some morning nourishment. 8:20 am Depart McDonald's. Continue south on I-5 to Salem, then west on Hwy 22 to Lincoln City and Hwy 101. Travel along the Oregon coast to Newport. 10:20 am Arrive at Newport rest stop. 10:45 am Depart Newport. Continue south on Hwy 101. 11:10 am Arrive at parade staging area in Waldport and get our act together! 2:15 pm Board motor coach to head for the beach! Most likely head north to Seal Beach State Park, one of the most picturesque places on the Central Oregon Coast. A chance to explore the tide pools! We should have about an hour. 3:30 pm Depart beach. Head north past Newport on Hwy 101 to rest stop at Depoe Bay. 4:15 pm Arrive in Depoe Bay for rest stop, saltwater taffy, and carmel corn! 4:45 pm Depart Depoe Bay. Drive to Salem via Hwy 101 and Hwy 22. 6:15 pm Arrive at Salem rest stop. 6:45 pm Depart Salem. Head north on I-5. 7:30 pm Arrive Southwest Bible Church. 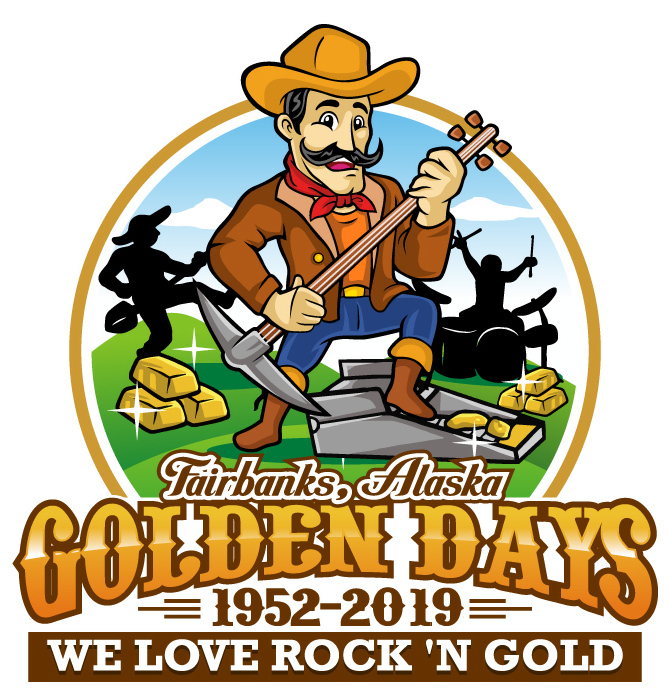 Each year in the third week of July, Fairbanks residents cut loose in honor of their Gold Rush history during a five-day festival they call Golden Days. Bank managers dress up as sourdough miners, waitress don "floozy" outfits, and most of the city turns out for races, parades, and great food. It's a great time to meet locals—who are in a festive, social mood—and to be swept up in a big Alaskan event. The five-day festival began in 1952 when the Chamber of Commerce decided to honor Fairbanks' Gold Rush and its proud mining tradition. 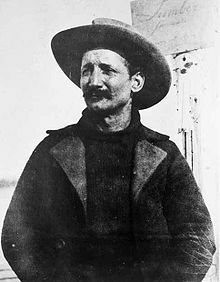 Felix Pedro, a young Italian immigrant, started the rush in 1902 with a gold strike in the foothills outside town. He's the man who famously proclaimed, "There's gold in them there hills." 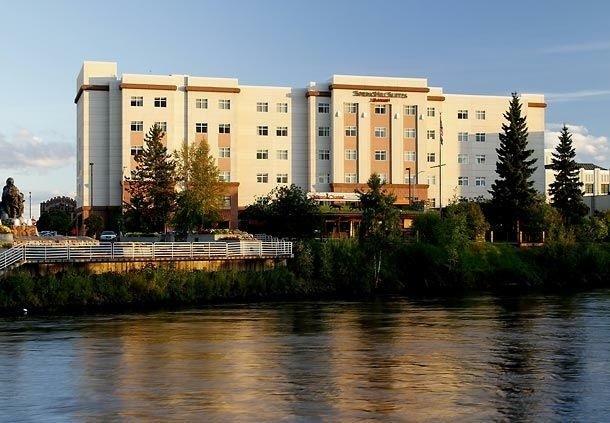 His cry was heard far and wide: Fairbanks grew from a sleepy river town to a bustling city almost overnight. Today, the town collectively celebrates this exciting time with Golden Days, declared one of the country's top 100 events by Destination Magazine. Alaska is a "Big State"; it would stretch from coast-to-coast if you were to drop it down into the Continental USA (lower 48). It is the "Land of the Last Frontier", "Land of the Midnight Sun", it's wild, it's wonderful, it boasts unmatched wildlife, few roads and is home to the tallest mountain in North America. 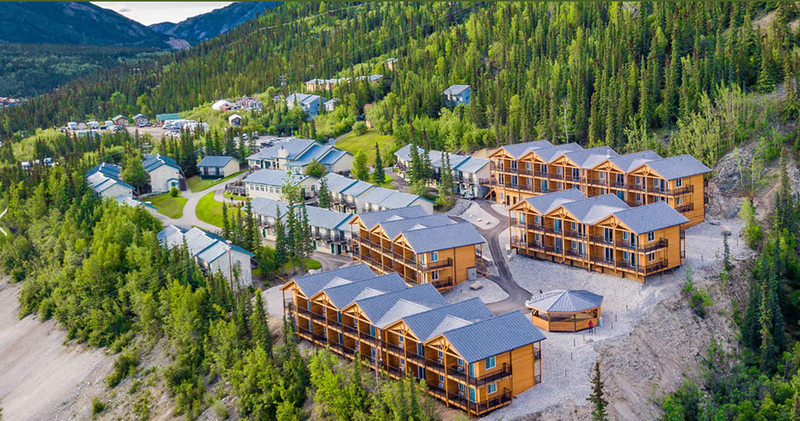 Our trip will be right in the heart of the busy travel/tourism season with a vast number of those travelers coming off cruise ships to travel along the same paths as our itinerary during this best time of the year to visit Alaska. Yet we are going to be in for a real treat on the TBGO trip by meeting the people of Alaska, seeing unparalleled beauty and scenery, incredible wildlife, 20-hours of sunshine each day, great weather (should be in the upper 70's -80's), memorable and mind-blowing experiences in this 49th State and most of all we get to perform and march in the Kinross Fort Knox Mine Golden Days Grande Parade on July 20. Our Alaskan adventure begins on Thursday July 18 with an early morning flight from Portland. 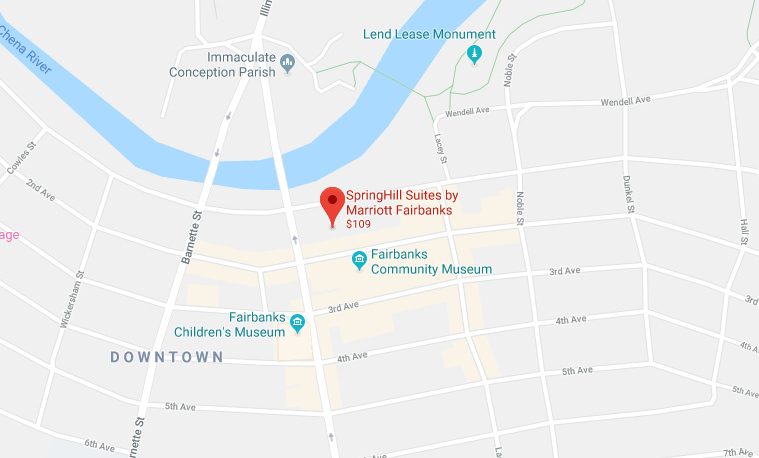 Motor coaches will meet us at the Fairbanks Airport for the transfer to the Springhill Suites Hotel – 3 Nights (downtown area). Remainder of dasy is on your own to explore the city. "There's gold in them there hills!" 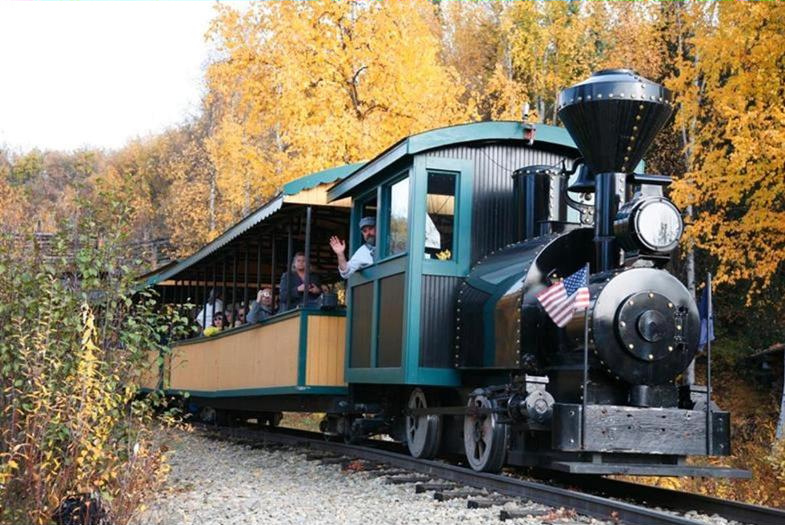 On Friday July 19 we get into the true Fairbanks spirit with a 2-hour gold rush excursion! We board the narrow-gauge Tanana Valley Railroad for a short narrated journey to Gold Dredge 8. Our first stop is an up-close view of the 48-inch Trans-Alaska Pipeline, a marvel of modern engineering and part of the largest industry in Alaska. The Trans Alaska Pipeline is responsible for approximately 15% of the nation's domestic oil production. We'll walk beneath the pipeline to reach Gold Dredge 8, described as either a floating workhorse or a mechanical gold pan. 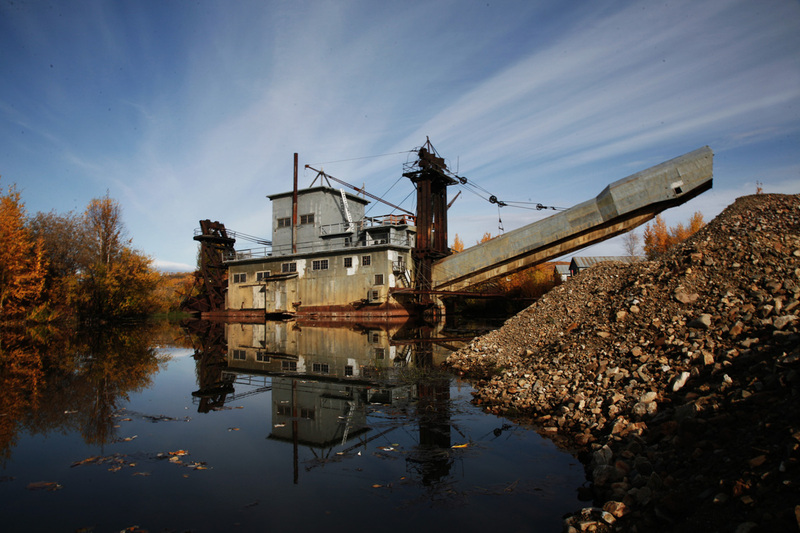 After extracting millions of ounces of gold from the frozen Alaskan ground, today, Gold Dredge 8 National Historic District serves as a monument to the hard working miners who built Fairbanks. Miners will give a sluice box demonstration and talk about mining in Alaska. You'll have the opportunity to explore the dredge and feel gold history come alive! As part of your tour, Alaskan miners will show you how to pan for gold, and you will receive your own poke filled with pay dirt. What excitement when you strike it rich!!! Nothing beats the thrill of taking home real Alaskan gold! Hope you find the mother lode! The Sternwheeler Riverboat Discovery beckons for our 3-hour afternoon sightseeing. After boarding this Mississippi-style sternwheeler, our first stop is a guided walking tour of an Athabascan Indian village, complete with log houses, well-stocked smoke house, and trapper's cache. See salmon fishing activities and curing, dog handling, leather-working and tanning, and much more. 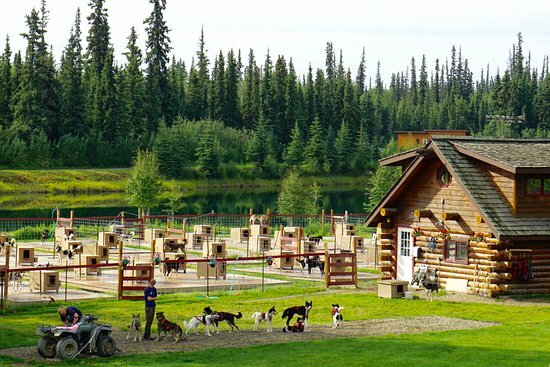 You'll have time to explore the village on your own, interact with guides, and visit dogs from Susan Butcher's (4-time winner of the Iditarod) kennels. Have your camera ready for the dog-mushing demonstration! 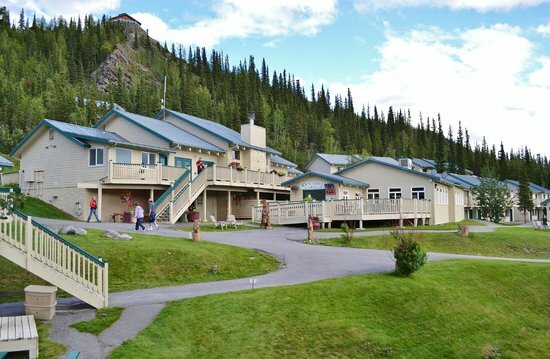 A stop at Steamboat Landing offers the opportunity to shop for unique Alaskan gifts. 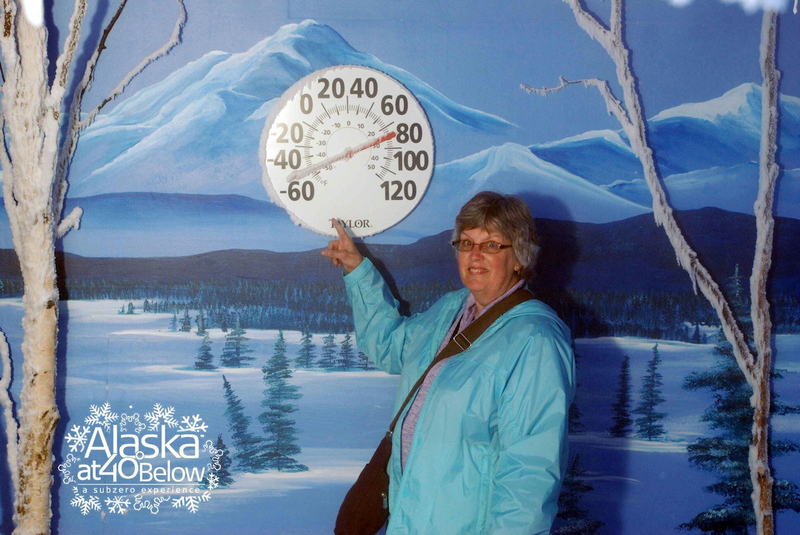 End your tour with the Alaska @ 40 Below Experience. You'll step into a specially designed subzero chamber where it's a brisk (you guessed it!) 40 degrees below zero. That's a mid-winter day in the upper Alaskan interior. It's a truly unique experience and visiting Alaska wouldn't be complete until you've tasted 40 below. Parade day dawns on Saturday July 20 (though thankfully NOT at dawn!). After breakfast we will be transferred by motor coach to the Carlson Center, the staging area of the Golden Days Parade. 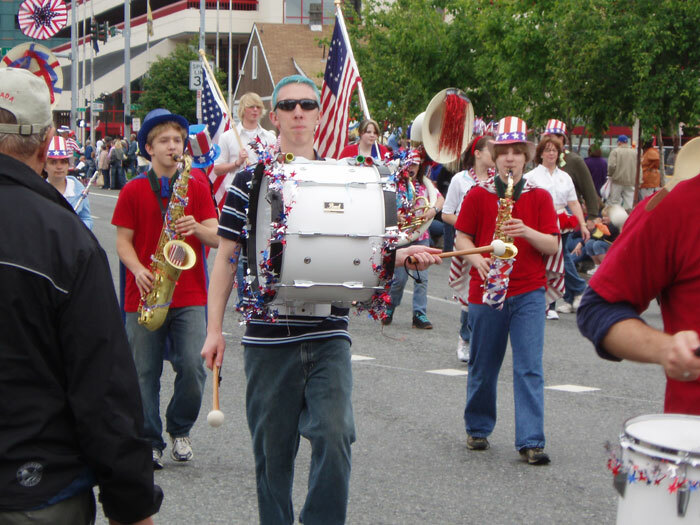 The parade, which is the biggest and longest in Alaska, steps off at 10 AM and is about 2 miles long. At the conclusion of the parade our motor coaches return us to our hotel. We are planning a standstill concert for the afternoon, with remainder of day free. 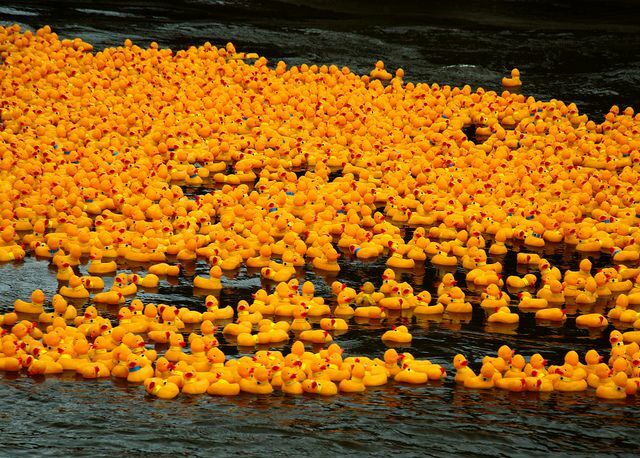 Maybe there will be time to check out the Rubber Duckie Race, with 8000 rubber ducks "racing" down the Chena River. Maybe your duck will earn you a big prize by crossing the finish line first! 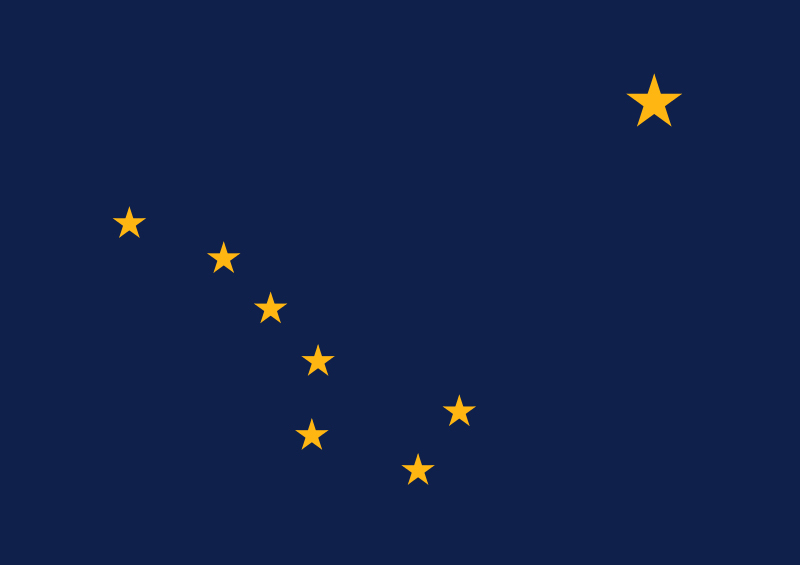 Naturally, this earns us the right to carry an Alaska state flag! 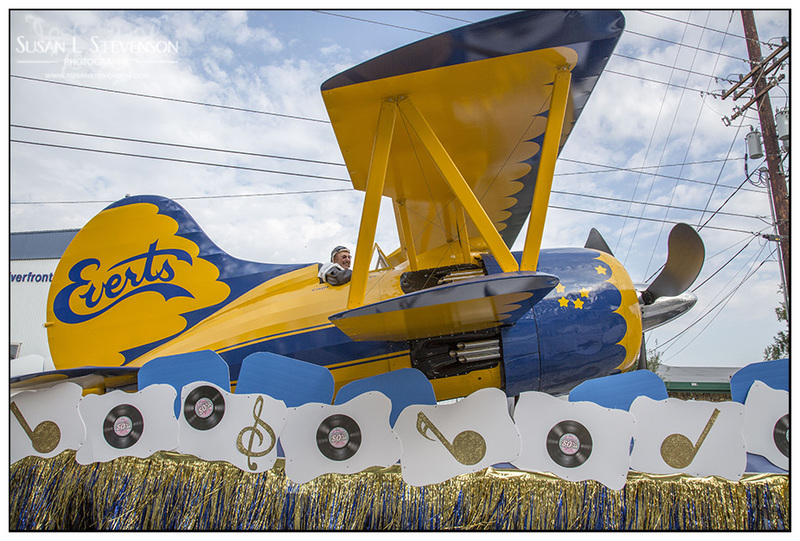 A float with a float plane! "Rubber duckie, you're the one ..."
Time to hit the road! 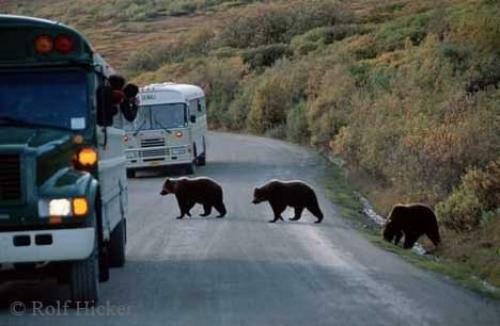 On Sunday July 21 we depart right after breakfast via by motor coach for Denali National Park, traveling 128 Miles south via the Parks Highway. 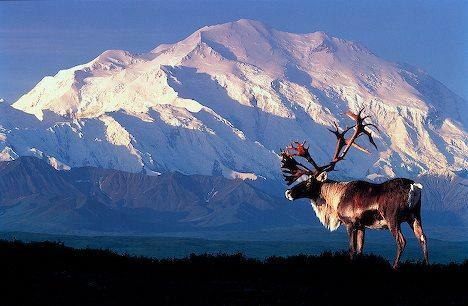 At 6 million acres, Denali National Park is one of the world's largest frontiers of wilderness adventure. 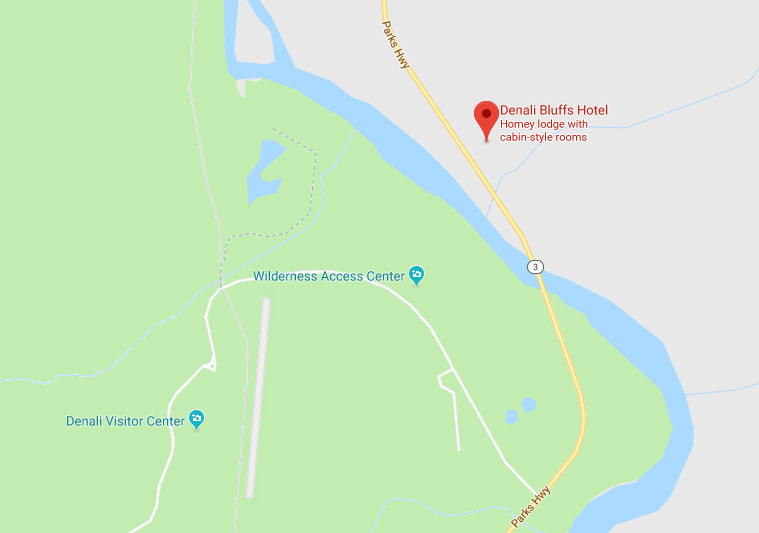 We have a 1-night stay at the Denali Bluffs Hotel on the slopes of Sugarloaf Mountain surrounded by wilderness splendor. Time for lunch upon our arrival and then we embark on an incredible tour deep into Denali National Park via Tundra Wilderness Tours for a narrated history of Denali National Park and some of the best opportunities to view and photograph wildlife like Dall sheep, moose, caribou, wolves and grizzly bears. A spectacular way to spend the day! A boxed snack and beverage are offered on this 7 ½ hour tour. Dinner on your own at the hotel. Sometimes the wildlife finds YOU! Matanuska-Susitna Valley Next up: Anchorage (Monday July 22). We're on the road again right after breakfast via motor coach (238 miles) as we continue our trek south along the Parks Highway. 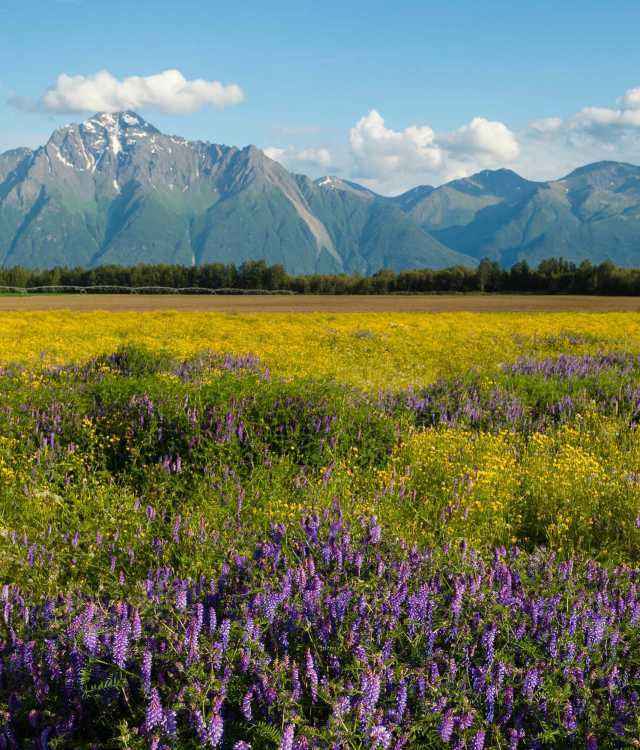 We pass through the Matanuska-Susitna Valley, which is considered one of the most important agriculture areas in Alaska. As we travel we will be surrounded by three of Alaska's major mountain chains: The Alaska and Talkeetna ranges, and the Chugach Mountains. 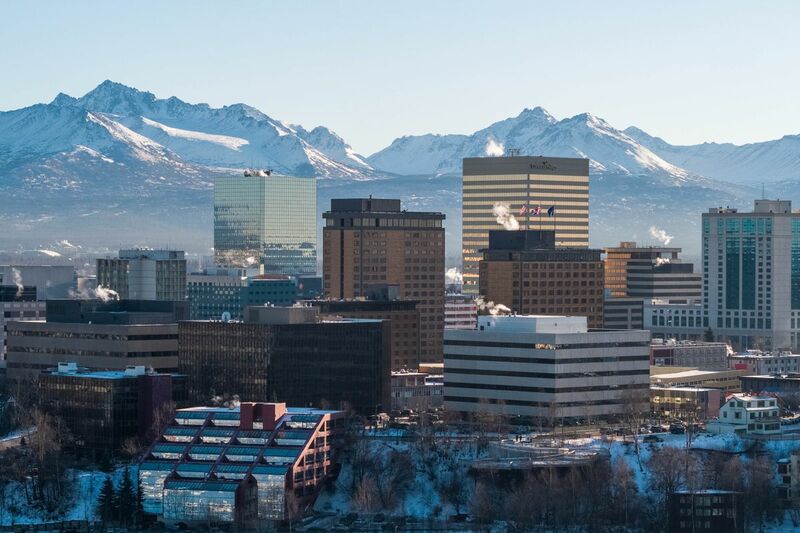 As we start to come into Anchorage we will pass by the residential community of Eagle River, and the two big military installations in Anchorage: Fort Richardson and Elmendorf Air Force Base. 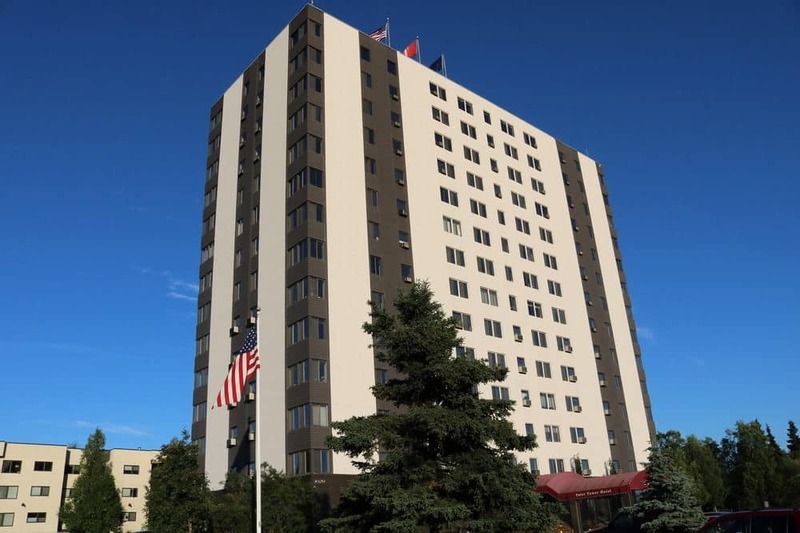 Upon our arrival in Anchorage we will have a private tour of the city before going to our hotel (Inlet Tower Hotel – 2 Nights). What would an Alaska adventure be without glaciers? Well, we don't intend to find out! Today (Tuesday July 23) we journey south of Anchorage to Portage Glacier. Along the way we are in sight of the waters of Cook Inlet and the Chugach Mountains. 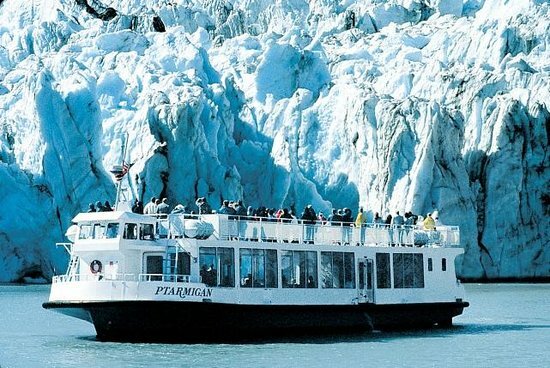 Upon our arrival in Portage Lake we will board the M/V Ptarmigan for a 1-hour narrated cruise tour around the lake to the face of Portage Glacier with a U.S. Forest Service representative aboard. We return to Anchorage and the afternoon is at your leisure. All good things must end and today our Alaska Basic Trip comes to a close. Wednesday July 24 begins with breakfast included at your hotel and some free time in the morning to early afternoon. For those flying home to Portland there will be a motor coach transfer to the Anchorage Airport. Those going on the Optional Cruise Extension for the 7-Nights "Voyage of the Glaciers" (Southbound) cruise from Whittier to Vancouver, BC, Canada will be transferred by motor coach to the Island Princess cruise ship that departs at 830 pm. Just about everyone flying out of PDX for the Alaska trip will be on very early morning flights on July 18 going to Fairbanks. 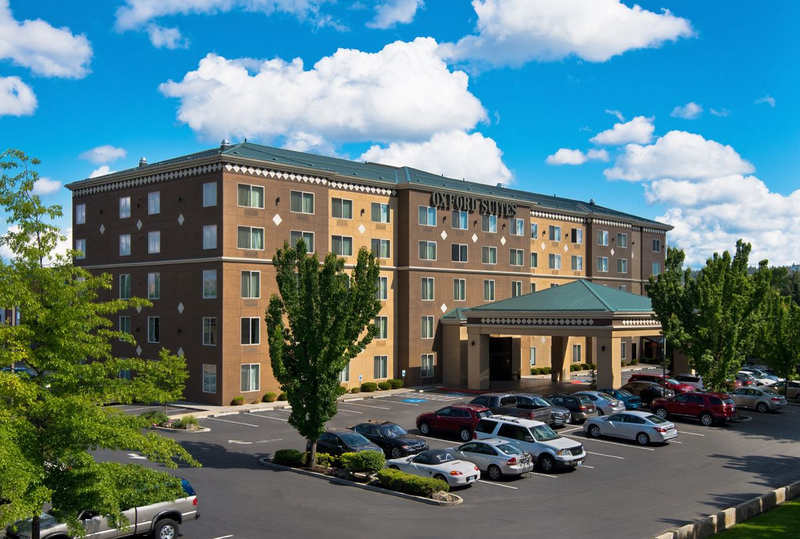 You may appreciate the convenience of staying overnight near PDX the previous night (July 17) with FREE PARKING up to 14-days, plus courtesy transfer round trip to the airport. A block of rooms has been set aside for TBGO at the rate of $145.00 per room plus 15.3% tax. 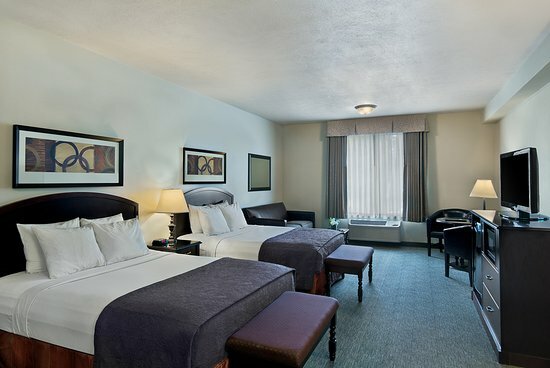 Each room has (2) Queen beds or (1) King bed and can accommodate single to quad occupancy. If you'd like to grab one of these rooms, let Tom know (tom@tbgo.org) the room type you desire and the names of those for your room reservation. PLEASE TELL TOM, NOT STEVE. Your room will be held using the credit card number Tom has on file for you. You will receive written confirmation with your final Alaska travel documents. 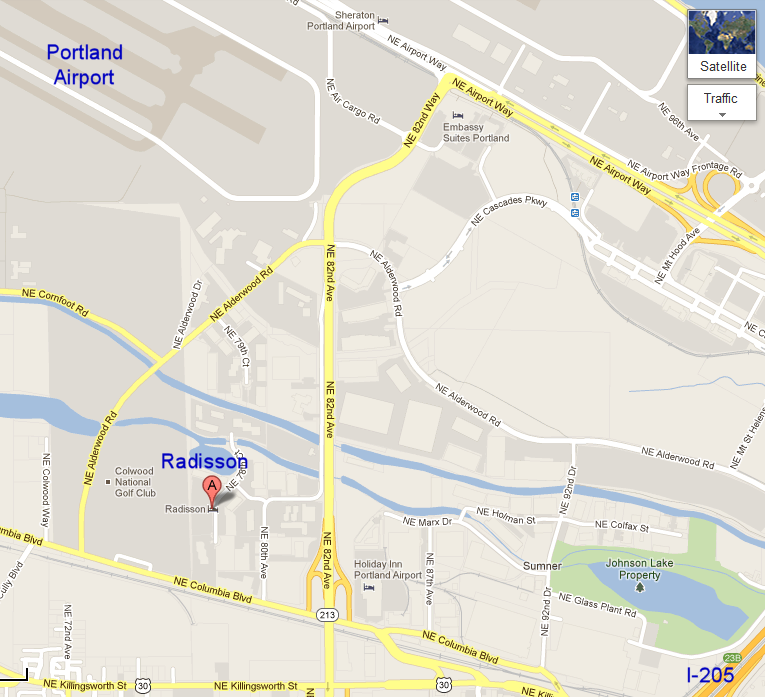 If you need additional nights at the Radisson Hotel Portland Airport, just let Tom know. The Basic Trip ends in Anchorage on July 24, and (conveniently!) Princess Cruises offers a 7-night cruise aboard Island Princess (ship registry Bermuda) departing Anchorage/Whittier that same day, finishing in Vancouver, BC on July 31. Here's one way you can extend your Alaska experience if you like. Cruise Hubbard Glacier, the largest tidewater glacier in North America, renowned for wildlife including whales, harbor seals, otters, brown bears, moose, and seabirds. Marvel at some of the continent's most amazing scenery and wildness in Glacier Bay National Park. Watch for icebergs, calving glaciers, and wildlife while enjoying narration from a National Park Service ranger aboard ship. Learn about gold rush history in Skagway, gateway to the gold fields. Maybe take an optional excursion aboard the White Pass & Yukon Railroad to the summit of White Pass? Visit Juneau, Alaska's capital, with opportunities for glacier flightseeing, ziplining, and more! 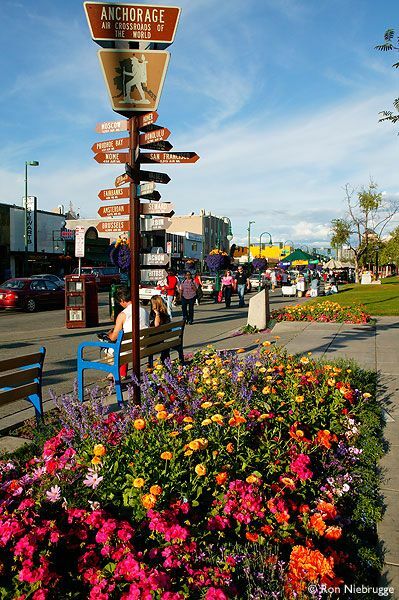 Walk the old red light district of Creek Street in Ketchikan, now home to local stores and galleries. Learn the stories of the totem poles at Totem Bight State Park or experience Tlingit culture at Saxman Native Village. Aboard ship, enjoy enrichment programs, culinary demonstrations, great food at all hours of the day and night, art auctions, ship's tours, dancing, or just relax in the spa or in the lounge with friends as some of the world's best scenery scrolls by the windows. And if there is a balanced TBGO band aboard ... we'll shoot for a performance at sea and/or a port of call! Pricing for various stateroom options is listed below. 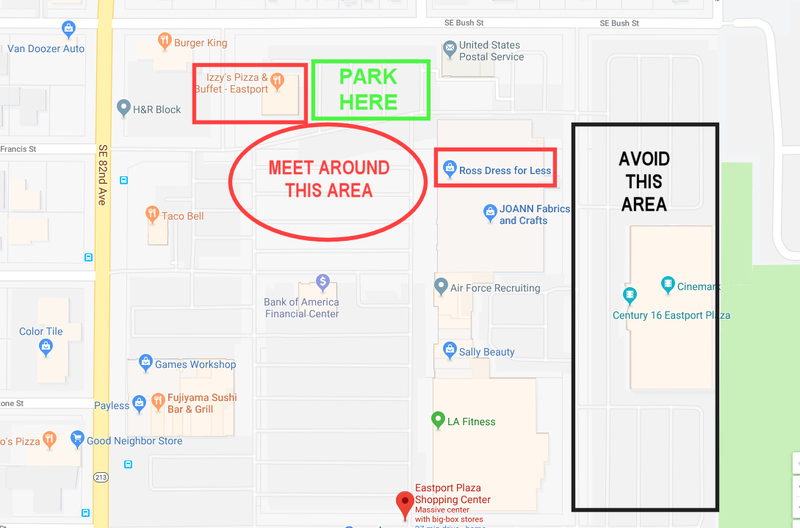 Meeting Time: For those making their own travel arrangements, we will announce a parade meeting time and specific location (near the Carlson Center) when we know details. 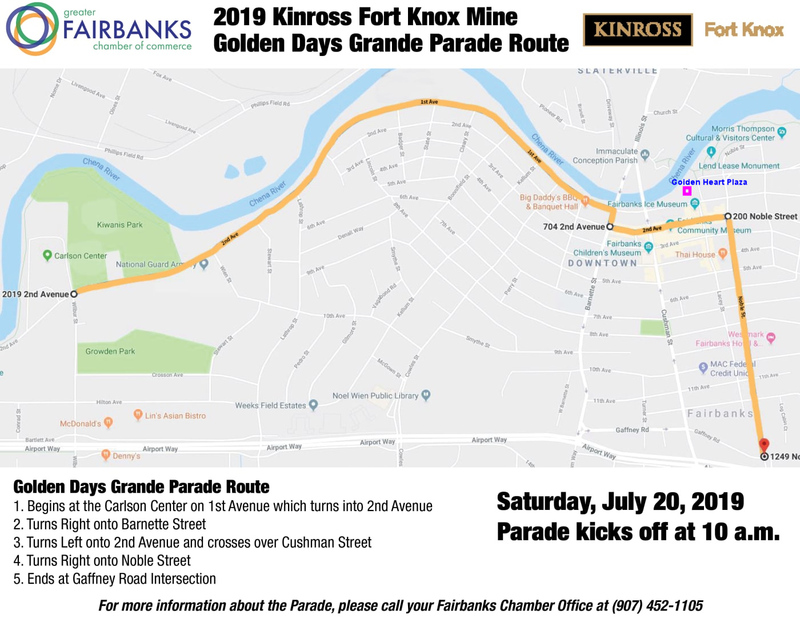 Parade Details: Parade route shown at right (click to enlarge). Parade route is approx 2.0 miles long and is just across the river from our hotel (we could almost walk there!). There is no Early Booking Discount for this trip. However, we recommend reserving your trip as soon as possible since July is a popular time for Alaska travel and flights will fill quickly. In addition, the special promotion for the Optional Cruise Extension expires November 19, so it's in your interests to act soon if you wish to reserve the cruise. The TBGO travel packages are offered as a streamlined way for Band Associates to participate in the Alaska trip. As always, you may elect to forego the packages and make all your own travel arrangements. Please be aware that if you choose to make all your own arrangements you are also responsible for your own ground transportation, including transportation to and from performances. Because of the complexity of this trip, the land portion of the Basic Trip is offered as "all or nothing"; i.e., we will not subset or otherwise modify the land portion of the Basic Trip. However, if you wish to extend the trip on either end, Tom can likely help with additional arrangements. It's important that you are in reasonably good health to endeavor to handle and take on a trip as such as this . You must be able to get on/off the motor coaches in reasonable fashion and there will be some walking including walking tours. Those not in good health can cause delays each day on the tour and hold things up for the rest of the tour participants. Should you fall in this category you may need to strongly re-evaluate if a trip as such is for you. Alternatively, you may need to bring along someone with you (family or caregiver) to insure you have someone who can assist you each and every day to avoid becoming a burden to other travelers. Getting thru airports what with security, long distances to walk to immigration and flight gates is yet another area to be aware of. Being aware of these expectations and your limitations, and then making thoughtful choices will ensure that we can provide a great experience for everyone. There are three components of the Alaska trip: the Basic Trip Land Package, the Optional Cruise Extension, and Airfare. If you are taking only the Basic Trip: Your total cost is the Basic Trip Land Package plus Airfare. If you are taking only the Basic Trip and are applying for a Travel Award: Your total cost is your Proposed Travel Budget for the Basic Land Package plus Airfare (more below). If you are adding the cruise: Your total cost is the Basic Trip Land Package plus Optional Cruise Extension plus Airfare. See Basic Land Package Inclusions / Exclusions for details on the contents of the Basic Trip Land Package. Two prices for the Land Package are shown based on the total number of travelers we have. Our expectation is that we will have 96 to 120 travelers total, resulting in the (lower price) in column 2. Prices will be slightly higher (column 3) if we have 95 or fewer travelers because we have to allocate fixed costs like motor coach rental over fewer travelers. balance due by May 3, 2019. Band Associates who cannot otherwise afford the Basic Trip Land Package are eligible to apply for Travel Awards to help defray the cost. See details below. IMPORTANT: If you book the Optional Cruise Extension, you must have a valid U.S. Passport (not a Passport Card). See the section on Passports for additional info. 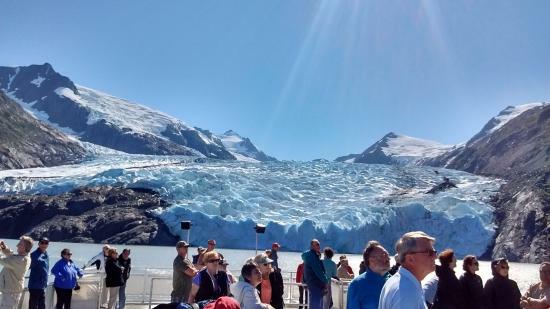 Voyage of the Glaciers with Glacier Bay (Southbound) departs Wed July 24, 2019 from Anchorage (Whittier), Alaska to Vancouver, British Columbia aboard Island Princess (Princess Cruise Lines). Click here for stateroom details, ports, excursions, and other details. Taxes, fees, and port expenses are required by Princess Cruises. The $24 per person transfer fee covers your transportation from the cruise terminal in Vancouver to the Vancouver Airport. 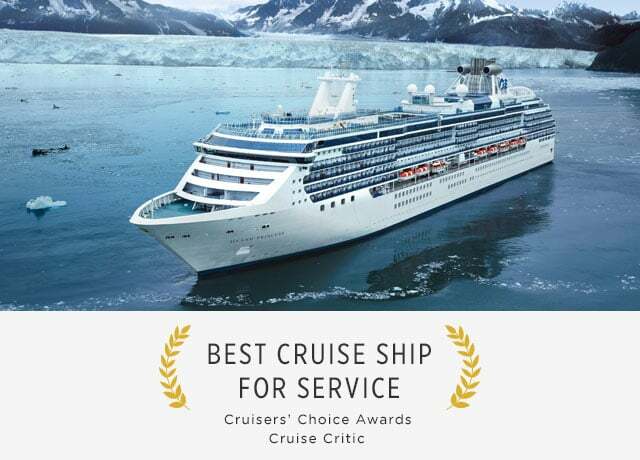 (Princess Cruises offers a similar service at substantially higher cost, so TBGO booked its own transportation). Single occupancy staterooms are available at 200% of the listed stateroom price. Some Interior, Oceanview, and Balcony rooms are equipped with a Pullman bed to sleep a third person. Mini-Suites have a sofa bed that will sleep a third passenger. Suites have a sofa bed that will sleep a third and/or fourth passenger. Price per person for third and fourth passenger in room is shown below. WE DO NOT RECOMMEND THREE OR FOUR PERSONS IN A ROOM FOR INTERIOR, OCEANVIEW, OR BALCONY STATEROOMS. ***LATE-BREAKING PROMOTION UPDATE ***: "3 For Free" promotion will continue through December 3! FREE Stateroom Location Upgrade. Book the stateroom location you wish to sail in for the price of the lowest category within that stateroom type during this promotion only. Offer is based on availability in like to like stateroom types (Interior to Interior, Oceanview to Oceanview, Balcony to Balcony). Excludes premium categories and suites. FREE Gratuities. Princess Cruises will pre-pay your suggested cabin gratuities in the amount of $13.50 per guest per day for Interior, Oceanview, and Balcony staterooms, $14.50 per person per day for Mini-Suite staterooms, and $15.50 per person per day for Suites. This amount is paid on bahalf of all guests (up to 4) in a stateroom. Does not include gratuities added to bar charges, dining room wine accounts, etc. FREE Onboard Spending Money. Each guest in a stateroom (up to 4) receives onboard spending money in the amount of $50 per person (Interior / Oceanview) or $100 per person (Balcony / Mini-Suite / Suite). Guests with single occupancy receive double these amounts. Must be used on the voyage, is not redeemable for cash, cannot be used in the casino. Deposit of 10% per person or 20% per cabin is required at time of cruise reservation. Deposit rates may be higher after the "3 For Free" promotion expires. Final Payments due by April 12, 2019. For cruises booked ONLY on November 26, the usual 10% per person deposit will be WAIVED. Instead, your cruise deposit will be just $1 PER PERSON and you still get all the "3 For Free" benefits listed above!!! This is a GREAT opportunity to "reserve now, pay later"! To take advantage of booking your cruise with a mere $1 deposit, you must reserve your cruise via the Sign-Up Survey no later than 10 AM PST ON SATURDAY NOVEMBER 24. This will give Steve enough time to wrangle the survey data and get it to Tom so *he* can get everything ready and spend most of November 26 on the phone booking our cruises. Note: If you have already signed up for the cruise, your cruise will also be booked so that you get the special $1 deposit rate. Second Note: You can still book your cruise after November 24, but you'll then need to pay the deposit in effect at that time. Optional Cruise Extension is not available for travelers who apply for a Travel Award. Airline prices are shown as a guideline and are subject to change at any time. Flights will be booked at the prevailing price at time of reservation. 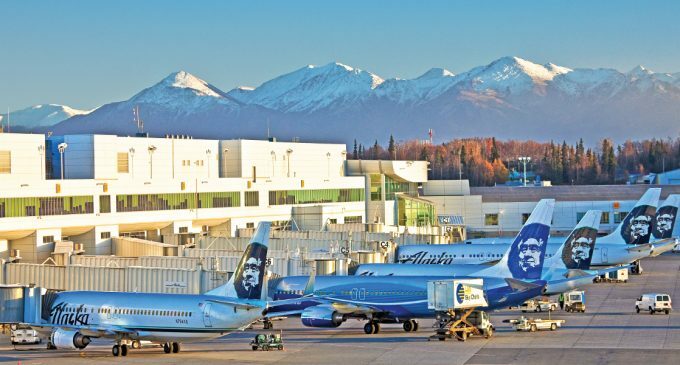 Those on the Basic Trip need air travel to Fairbanks and return air travel from Anchorage. Those electing the Optional Cruise Extension need air travel to Fairbanks and return air travel from Vancouver. All airfares are non-refundable/non-transferrable and subject to change. We are planning the following flights for return air travel from Vancouver for those who DO elect the Optional Cruise Extension. Be aware that you can reserve a Basic Trip Land Package and choose to make your own air travel arrangements. This allows you to use a preferred carrier; purchase tickets using mileage program miles; depart at a different time of day; search for other attractive pricing options, etc. We strongly recommend booking your air travel as soon as possible since July is a popular time for travel to Alaska. If you want to use TBGO's ground transportation to/from the airports during the trip, please be sure your flights arrive and depart at times consistent with the TBGO flights. When you reserve your trip via the sign-up survey, you'll be asked whether you want Tom to book flights or whether you want to make your own air arrangements. If you ask Tom to book your flights during the sign-up survey, your air travel will be reserved and your credit card will be charged shortly after sign-up. One carry-on bag plus personal item are allowed FREE onboard. 1st and 2nd checked bags are $25 each. See Alaska Airlines website for size and weight limitations. From the Alaska website: "Small musical instruments may count as your one carry-on bag and may exceed the Standard carry-on dimensions, as long as they can be safely accommodated in a proper stowage compartment in the cabin of the aircraft." Paying for Checked Baggage: TBGO will reimburse band associates for the cost of oversize / overweight checked baggage necessary to the functioning of the band in performance. These charges must be pre-approved before we travel. Band associates are otherwise responsible for all baggage costs. If you have an Alaska Airlines frequent flyer number, please provide it during signup (there will be a slot for it). Ditto for Delta Airlines (in case you are on one of the West Jet return flights since they are affiliated with Delta). Please note any dietary meal needs for your flights during signup. Please note any requests for upgraded seating (economy plus, first class) during signup. Upgraded seating is not available to Travel Award applicants. Band Associates who cannot otherwise afford the Basic Trip are eligible to apply for Travel Awards to help defray the cost of the trip. Non-Performers (e.g., family members) are not eligible for Travel Awards. Travel Awards are not available for travelers electing the Optional Cruise Extension or other upgrades such as economy plus airline seating that may be offered. Prospective applicants are referred to the online Travel Assistance Program (TAP) Details for more information about the intent of TBGO’s TAP program and its selection process. Since the Alaska trip is a costly major trip, we anticipate that a larger-than-usual number of TBGO Associates may apply for Travel Awards. To apply for a Travel Award, please sign up via Survey Monkey using the normal signup survey link. During the Survey Monkey signup, you will be asked if you wish to apply for a Travel Award. If yes, you'll be asked for your Proposed Land Package Travel Budget, which is the amount you propose to pay for the Land Package portion of your trip. The minimum Proposed Land Package Travel Budget for this trip is $600, significantly less than the full price of $1887 (Double room). IMPORTANT: Note that in addition to the the Land Package cost, you are also responsible for the Airfare portion of your trip, either purchased via Tom or purchased on your own (or using mileage or whatever). Here are a few examples to clarify things. Note that these are just examples; your Proposed Land Package Travel Budget can be any amount as long as it's at least $600. It is our goal to take as many Performers as possible to Alaska, and we expect to grant a significant number of Awards. However, be aware that applying for a Travel Award does not guarantee that an Award will be granted. Travel Award applicants will be notified of the status of their application shortly after the close of the signup period. The status of each Travel Award application will be determined before the applicant’s travel deposit is charged (i.e., we will not charge the travel deposit or airfare to your credit card if the Travel Award is not granted). Travel Award recipients may purchase Travel Insurance if desired. Price of the insurance is based on the full cost of the trip (approx. $2500) and is paid by the Travel Award recipient. If a Travel Award recipient incurs a Trip Cancellation event that results in an award from the insurance company, the Travel Award recipient is expected to reimburse TBGO for TBGO’s portion of the cost of the trip. Performers who require a degree of financial assistance with the trip are urged to consider applying for a Travel Award; as we’ve said many times, it allows TBGO to field a better band and all of you have helped earn the money in the band’s travel fund. At the same time, the Board respectfully requests that you elect the highest Proposed Land Package Travel Budget that you can realistically afford given your financial situation; this will help us award Grants to the largest possible number of applicants. We also request that you evaluate your own health situation before applying for a Travel Award; it is counter-productive for the band to allocate Travel Awards to those who are unable to perform as expected. DUE DATE FOR TRAVEL AWARD APPLICATIONS: The due date to apply for a Travel Award is END OF DAY, THURSDAY NOVEMBER 15, 2018. Pricing for the Basic Trip Land Package is shown above. 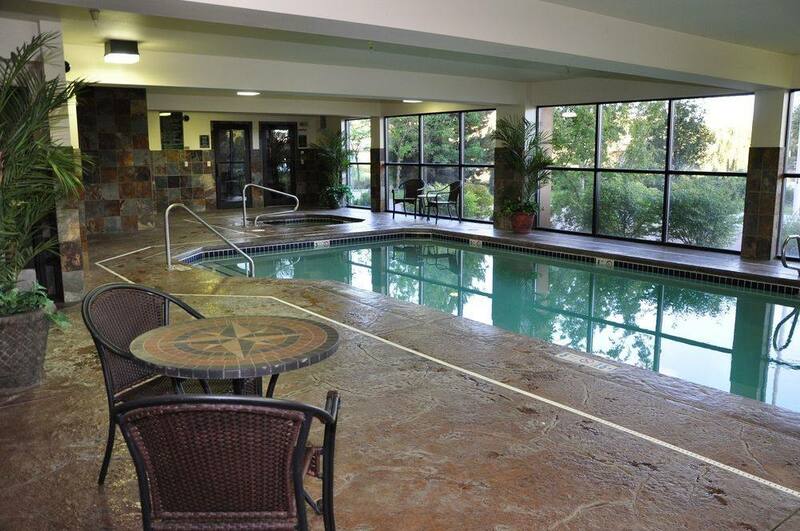 For any room type, a deposit of $200 is due at reservation (when you sign up). A second deposit of $800 is due February 4, 2019, with balance due by May 3, 2019. Accommodations including breakfast as listed above, subject to availability at time of deposit. Airport arrival transfer from Fairbanks Airport to our hotel (for those who arrive at or near our scheduled flight time). Ground transportation to and from parade. 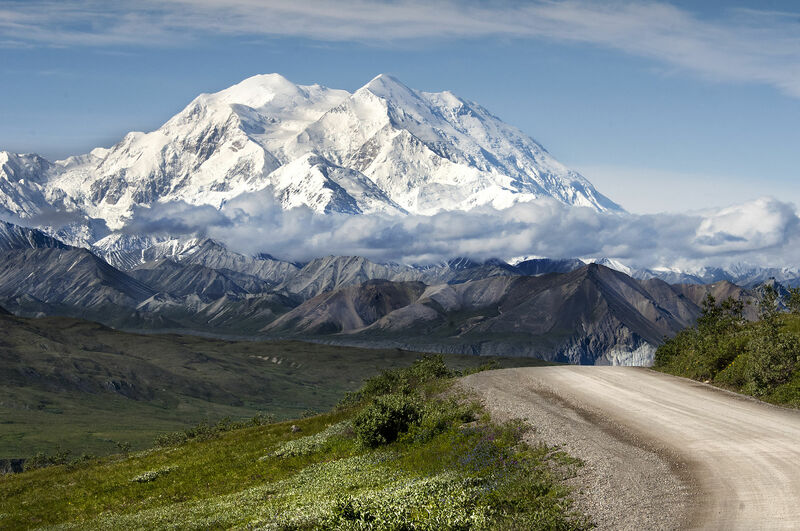 Ground transportation from Fairbanks to Denali National Park and on to Anchorage. 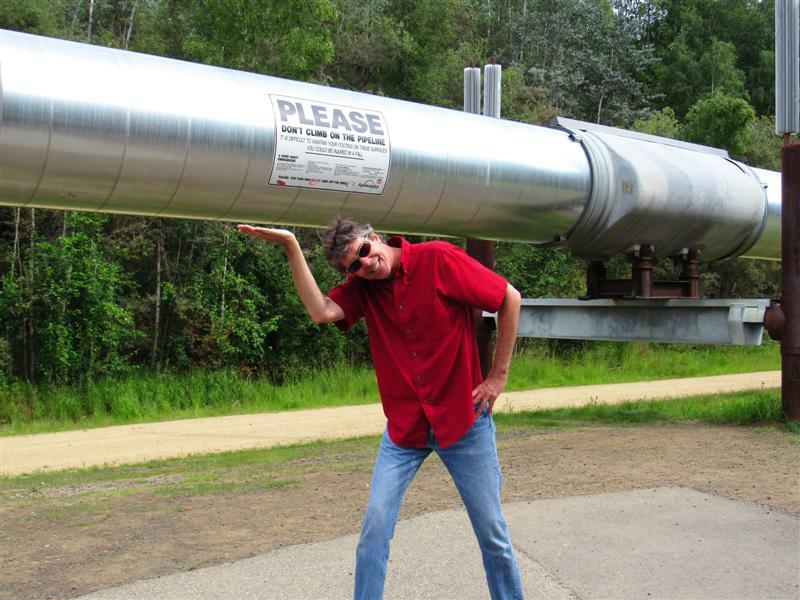 Tour to Gold Dredge 8 via train and panning for gold and visit to the Trans-Alaska Pipeline. 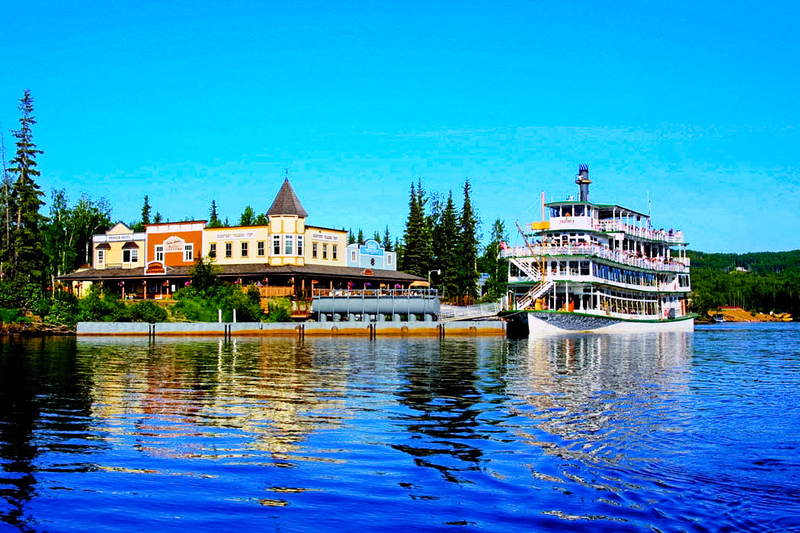 Excursion on the Chena River via Sternwheeler Riverboat Discovery. Tundra Wilderness Tour in Denali National Park. Day trip to Portage Lake with 1-hour cruise aboard the M/V Ptarmigan to the face of Portage Glacier. Applicable taxes & fees in force at time of confirmation. Changes, including per person city taxes, coach permit fees, etc., taking effect after confirmation may result in a supplement added to your final prices. All gratuities for the motor coach drivers, escorts, and local guides are included. Porterage of suitcases at hotels, airports, rail stations or cruise terminals. Supplements or optional tours other than as listed aabove. Visa, passport, and entry/exit fees. Travel Protection, please inquire for details. Trip cancellations can happen at any age, though the likelihood of health problems increases as we age. Travel insurance also protects you should you need to change travel plans because a family member develops health issues. Your policy protects you against such things as Trip Cancellation, Trip Interruption, Missed Connection, Itinerary Change, Travel Delay, Accident & Sickness Medical Ex pense, Emergency Medical Evacuation/Repatriation (Air Ambulance), Travel Accident Protection, Baggage & Personal Effects and Delayed Baggage. Note that a valid U.S. Passport is required if you are taking the Optional Cruise Extension. You may NOT use a U.S. Passport Card, birth certificate, or similar documentation -- a Passport is required and the valid date must extend at least SIX MONTHS beyond your return date to the U.S. If you do not hold a passport or your passport is not up to date, you should acquire one or renew it AS SOON AS POSSIBLE to avoid issues later on. See the TBGO Passport Information page for detailed information on applying for a first passport or renewing an expiring passport. Tom is going to offer something he's never done for a TBGO trip. 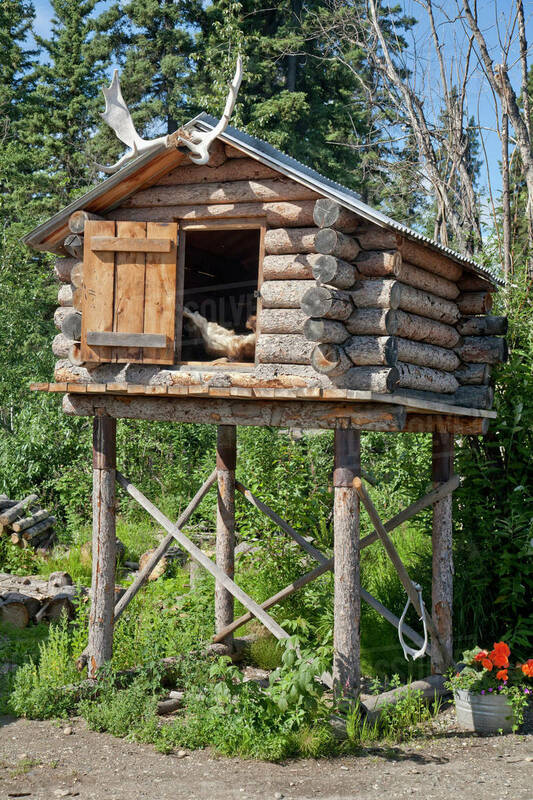 Tom says: The State of Alaska is a very unusual place to visit and it is not every day that folks say, "Hey, let's jump on the plane and take a trip to Alaska", just like that. Alaska is very different than the Lower 48 or Hawaii for that matter. It may be hard for you to truly understand what the State of Alaska is about and maybe some folks have some pre-conceived ideas, too. If you feel lost or have further questions about any aspect of this trip, you can arrange a phone appointment with me to discuss what is on your mind. Get a better feel for the trip, clarify the logistics, or travel arrangements -- whatever you need to be able to make an informed choice and commit to what will be another FABULOUS trip. To take advantage of Tom's offer, send an email (tom@tbgo.org) with your phone number and a date and time range (either in the evening or during the day) when you're available. Tom will match that against his availability and will let you know when to expect him to call. Tom is out of pocket during Thanksgiving week (November 21-24), but he's available now through November 20 for a consult (note that earliest available time on Sunday November 18 is 4:30 pm because of church and TBGO rehearsal.) He'll be available again November 27 through December 1, but sooner is better -- strike while the iron is hot! Get answers to your questions concerning any area of the Alaska trip from the Basic Alaska Land Package to Air Travel to the Optional Cruise Extension. To make this work, we need to be respectful of Tom's time (he's a busy guy with many clients other than TBGO!). Please do NOT call him without emailing to set up a phone appointment first, and don't expect him to be available on 10 minutes notice -- email with plenty of lead time, give him a range of options for your availability, and Tom will do his best to get back to you promptly. Final word goes to Tom: "LET'S GO NORTH TO ALASKA WITH TBGO!!!" pricing cannot be guaranteed and may be substantially higher. Take account of the "recurring themes" we hear when talking to band associates about travel opportunities. Target events with "cool factor". If we only get to do one a year, it oughta count! Emphasize trips that center around existing events with large, enthusiastic crowds. It's more fun to play for lots of people, and it's a lot easier to draw a crowd when someone else has already done all the work. Have a reasonable belief that it's a trip/event we can successfully execute. Target locations that are likely to have broad appeal to members as "destinations" - there should be fun, exciting touristy things we can do while we are in the area. Try to keep major events 9-15 months apart. Work to keep each trip affordable to the best of our ability. "Start spreading the news" - work on bringing the band to each major area of the country (and beyond). In general, avoid duplicating major trips that we've done previously - we ain't gettin' any younger and there are LOTS of places to go! Look beyond one year to put a multi-year plan in place. 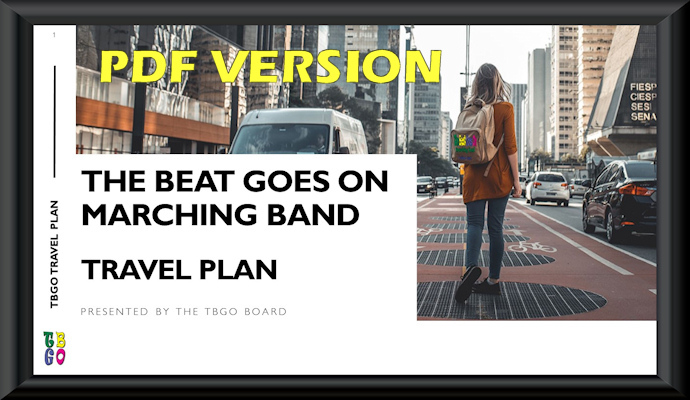 We think that a roadmap makes it easier for both the band staff and band associates to plan ahead, and it can also act as a recruiting tool. Besides our annual "big road trip", we make a conscious effort to broaden our reach in regional events. This will certainly include day trips, but we'd also love to add one or two "mini-trips" each year if the band can support it. In general, we'd try to space mini-trips so that they don't fall right on top of a major trip (i.e., we'll try to create "breathing room" between trips as much as we can.) A mini-trip would typically be closer to home, include a 1-2 night hotel stay, and have lower cost. 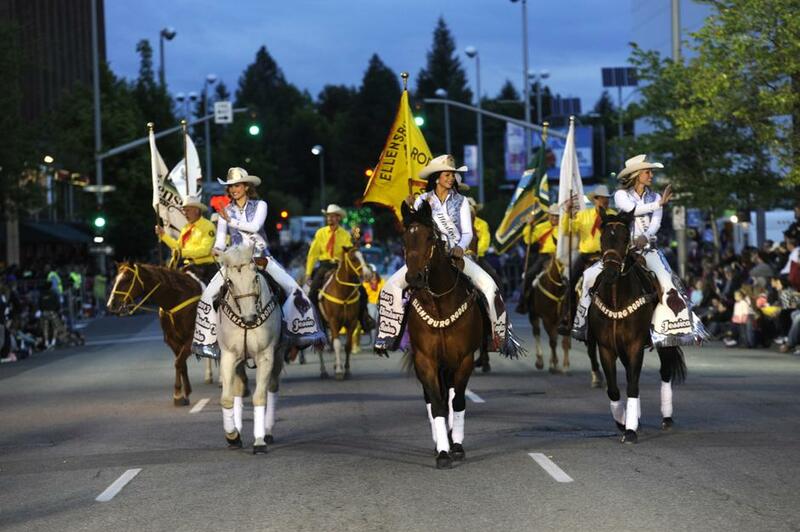 Examples of mini-trips that we've done include the Autumn Leaf Festival in Leavenworth (WA), Wenatchee Appleblossom Festival, Pendleton Round-Up, Medford Pear Blossom Festival, White Rock (BC) Sea Festival, and Rogers Santa Claus Parade (Vancouver, BC). 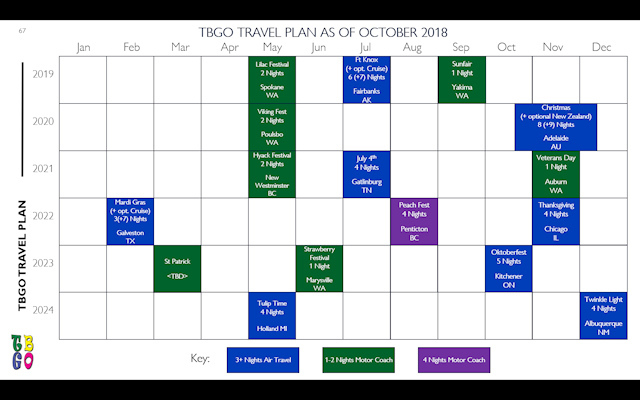 In October 2018 the TBGO Board unveiled a new multi-year travel plan at the annual TBGO Birthday Party, including both regional and major national/international trips through 2024. Click the grid at right for a one-page summary of the plan. 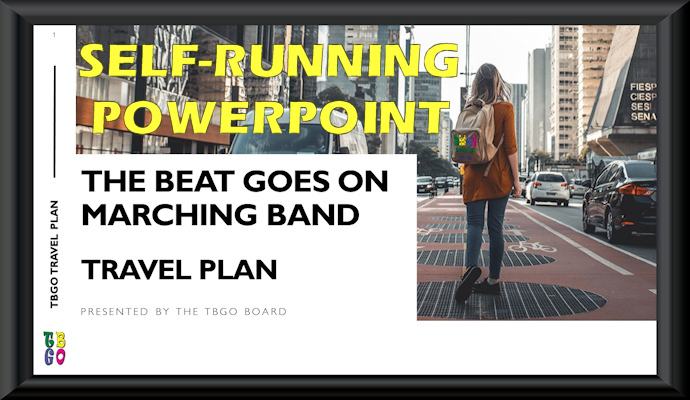 If you are on PC or Mac, click the cover slide at right to launch a self-running slide show with details of the plan and its trips. It may take a bit for the presentation to start running since it's large (48 MB). Once it launches, you can advance through it using mouse, space bar, enter key, arrow keys, etc. If you are on a phone, tablet, or other such device, click on the PDF version at right. It loses the lovely animations and transitions, but at least you can see all the text! Many of you have worked with Tom Higham, who handles TBGO's overnight travel (and personal travel for many of us).